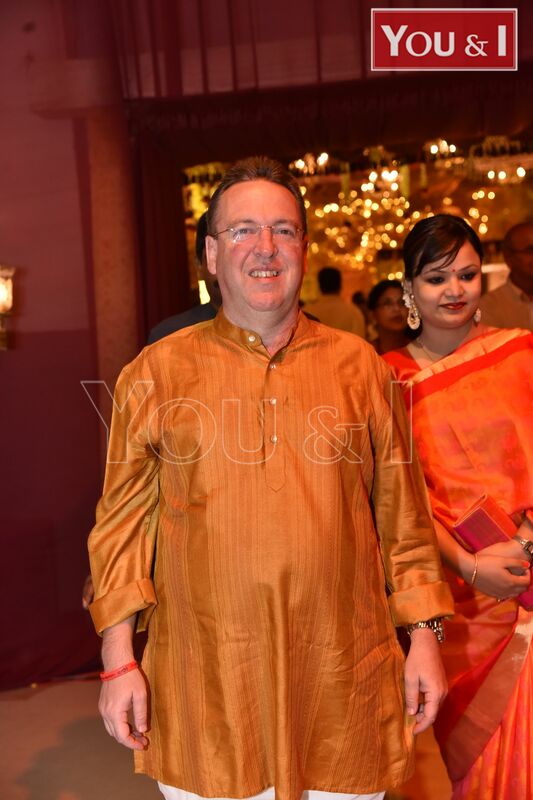 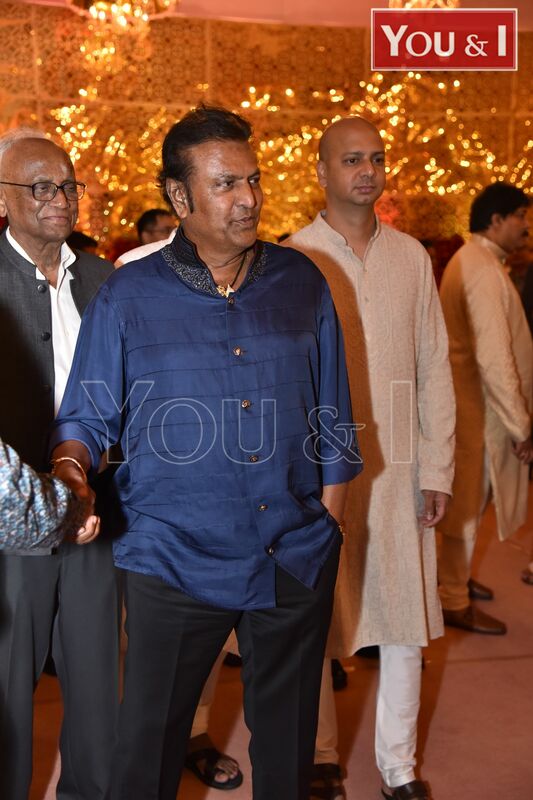 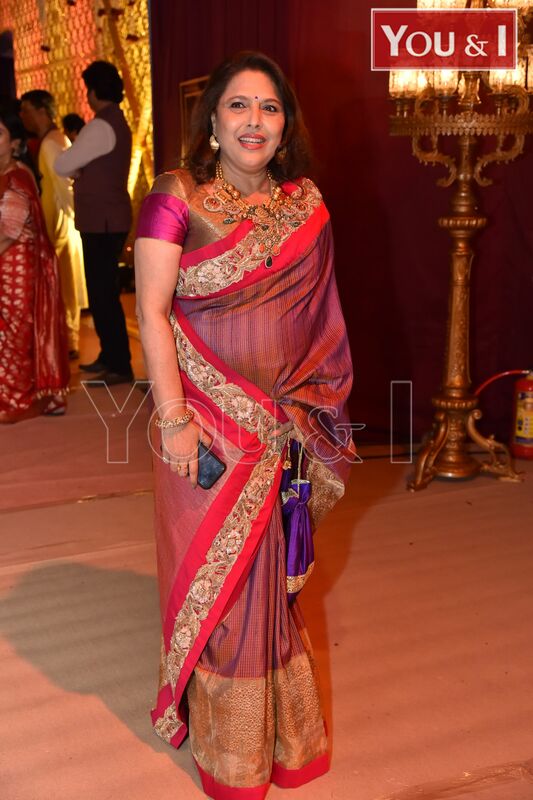 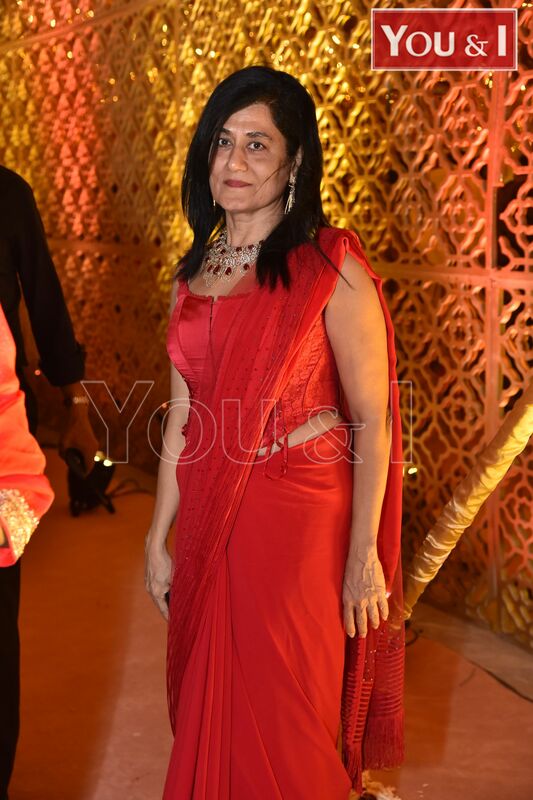 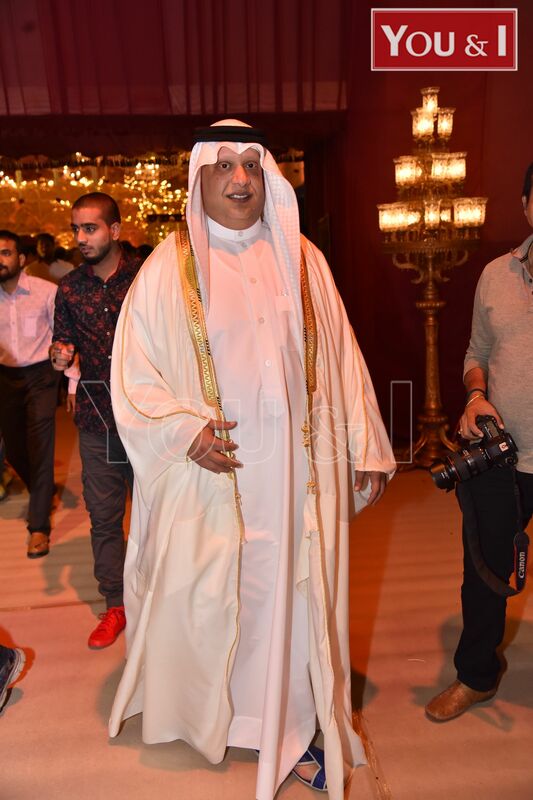 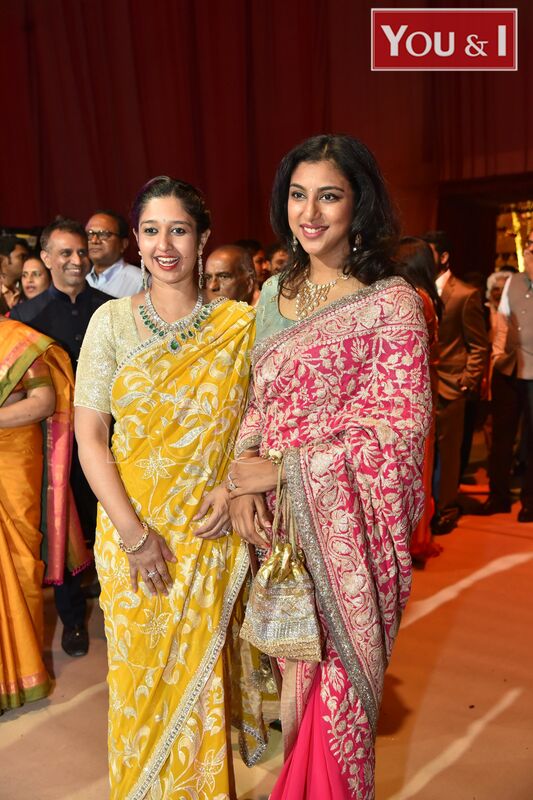 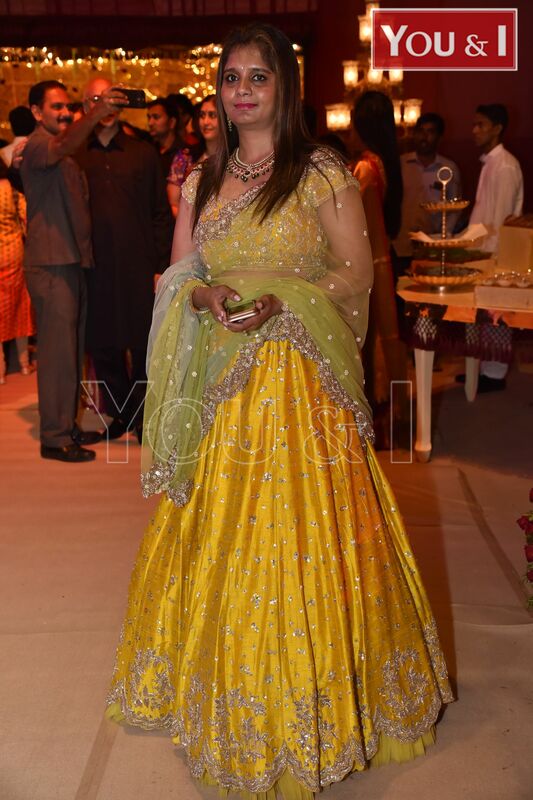 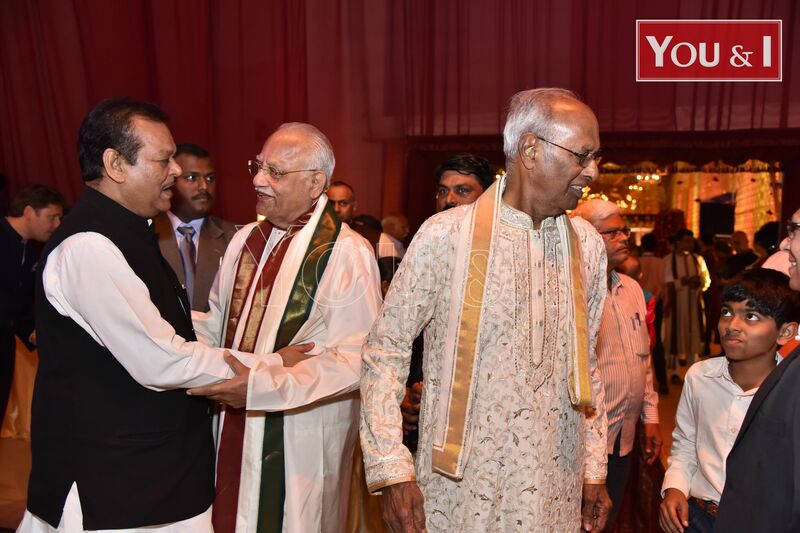 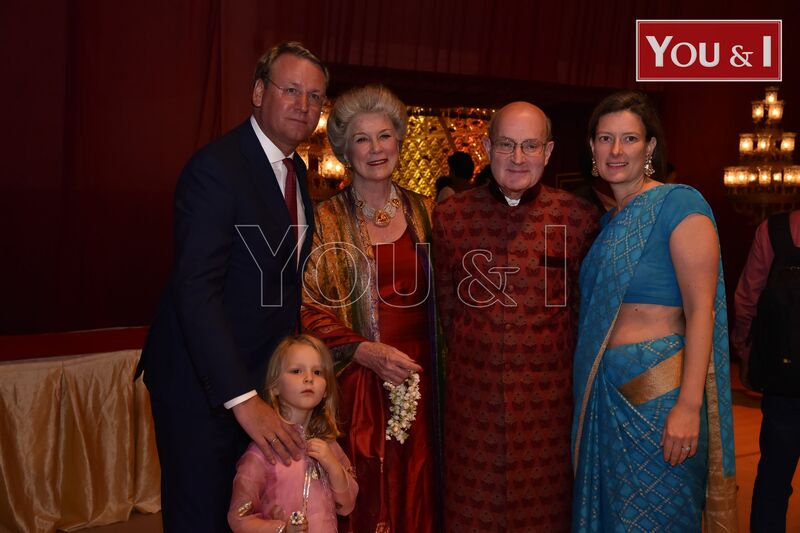 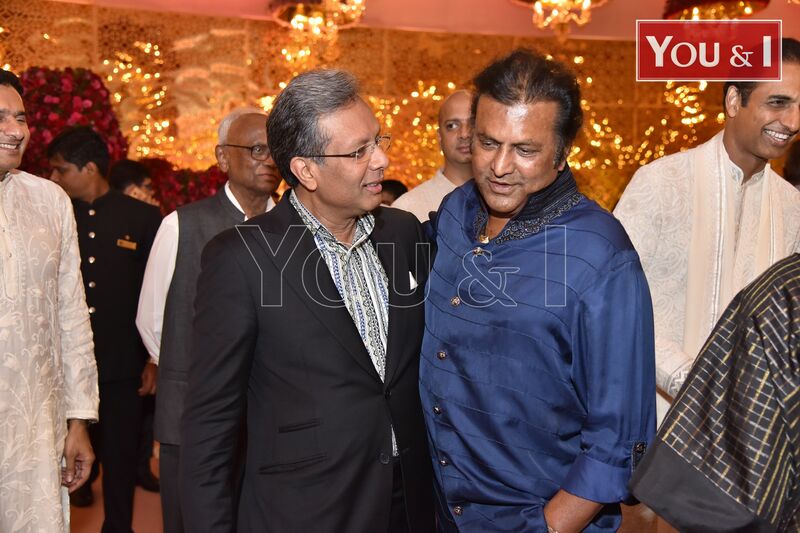 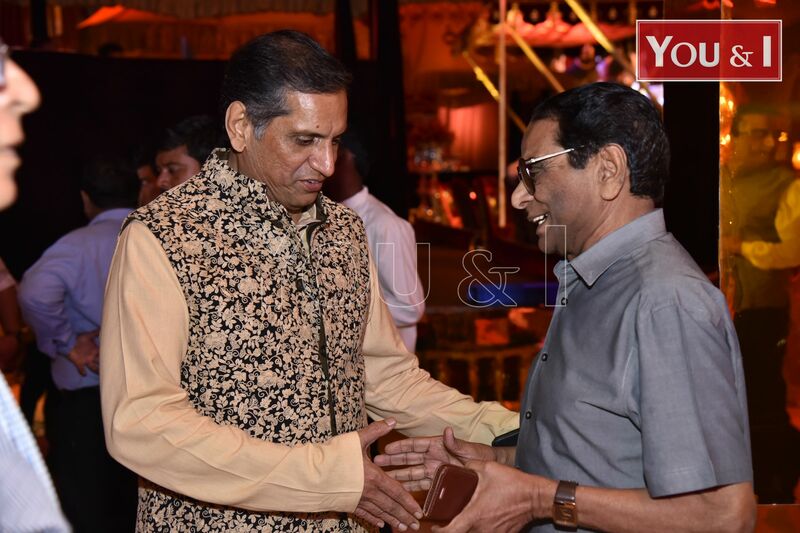 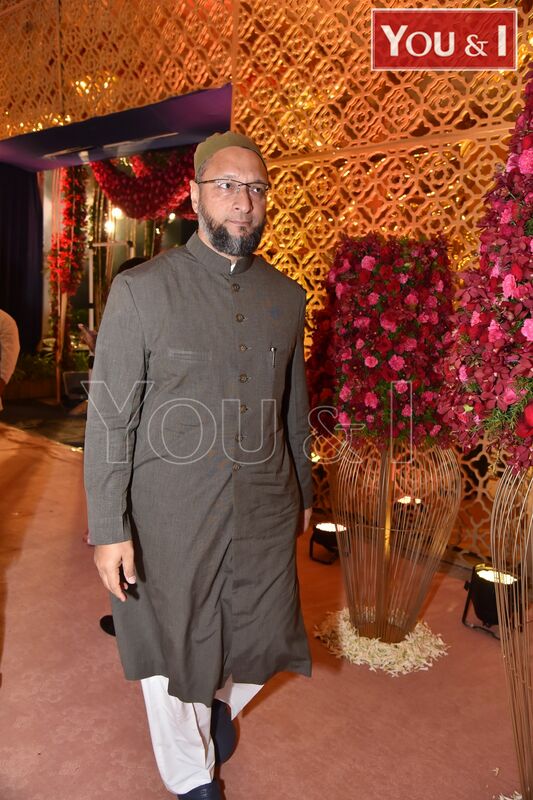 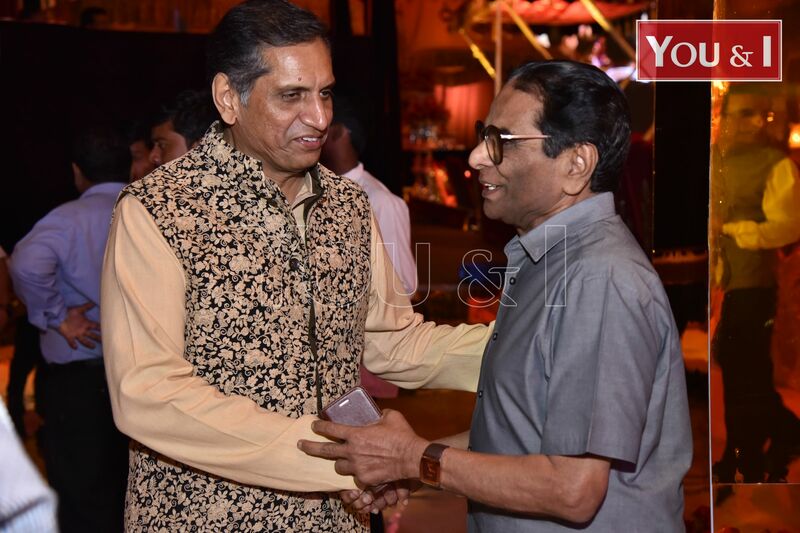 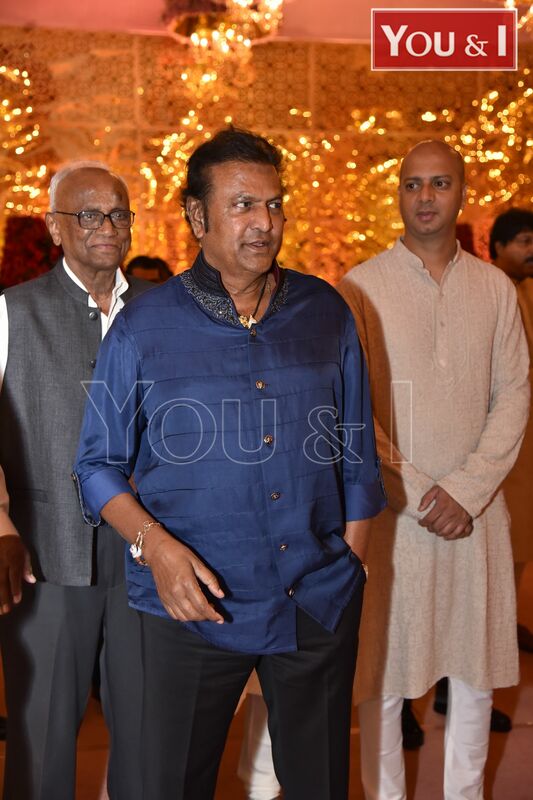 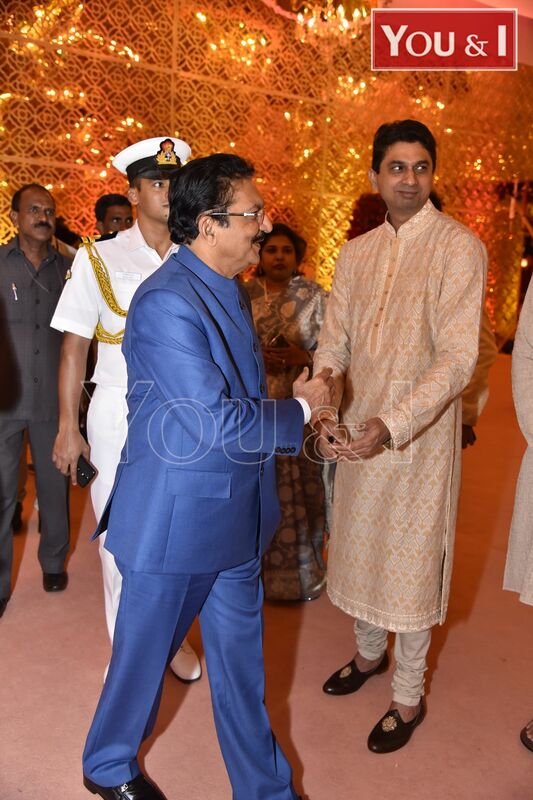 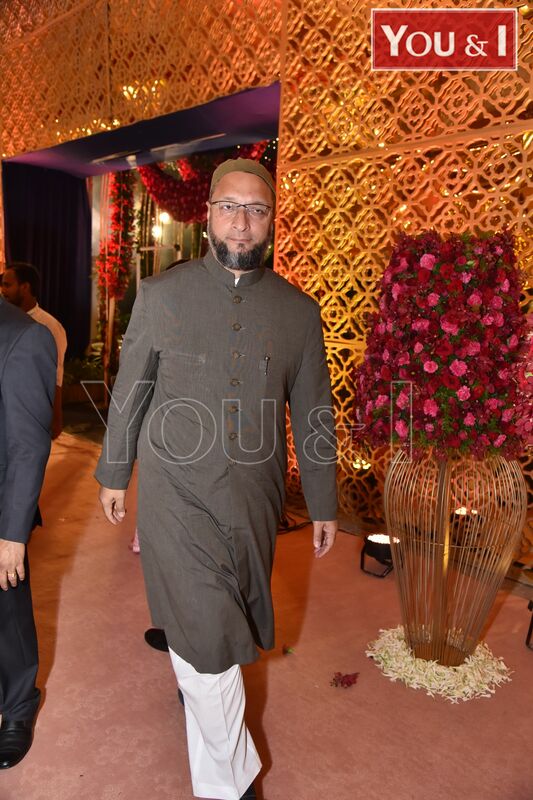 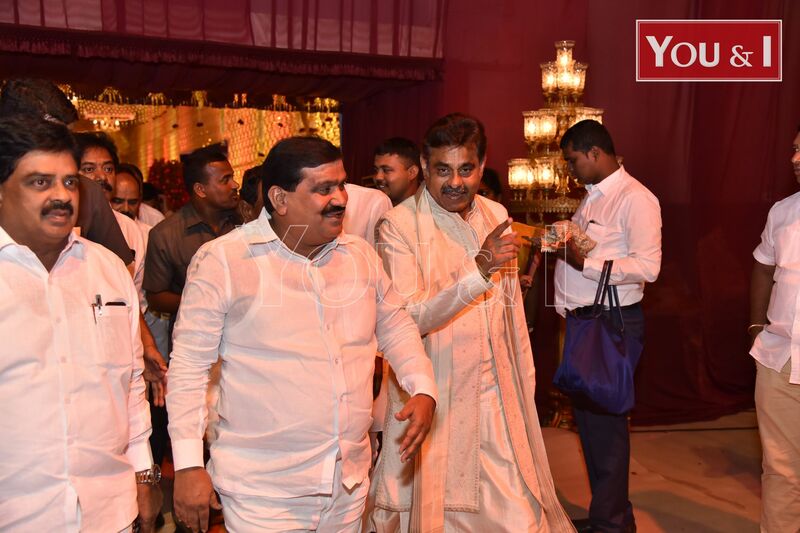 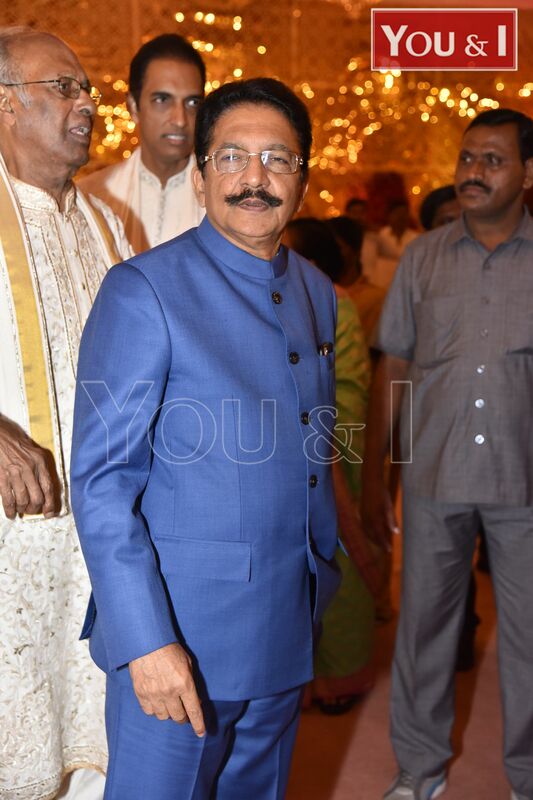 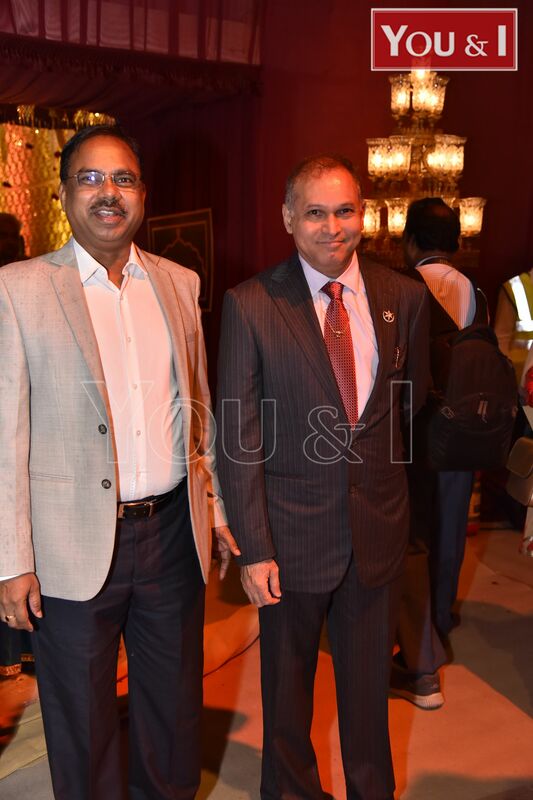 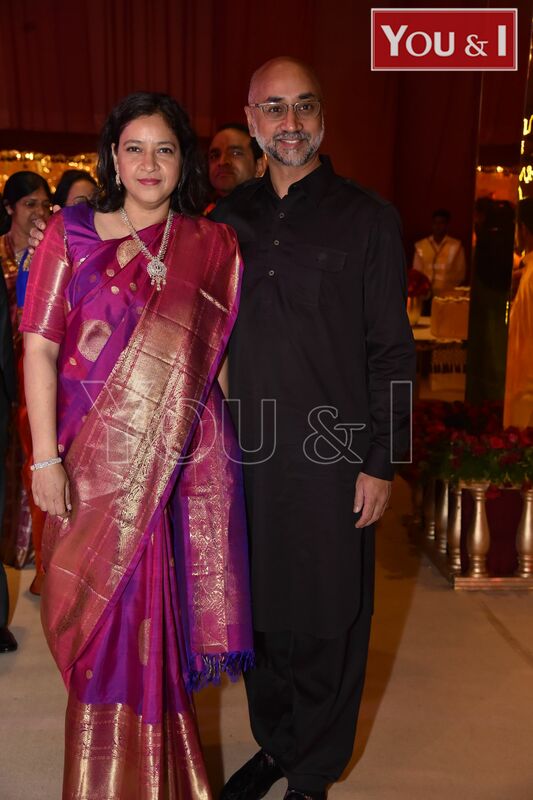 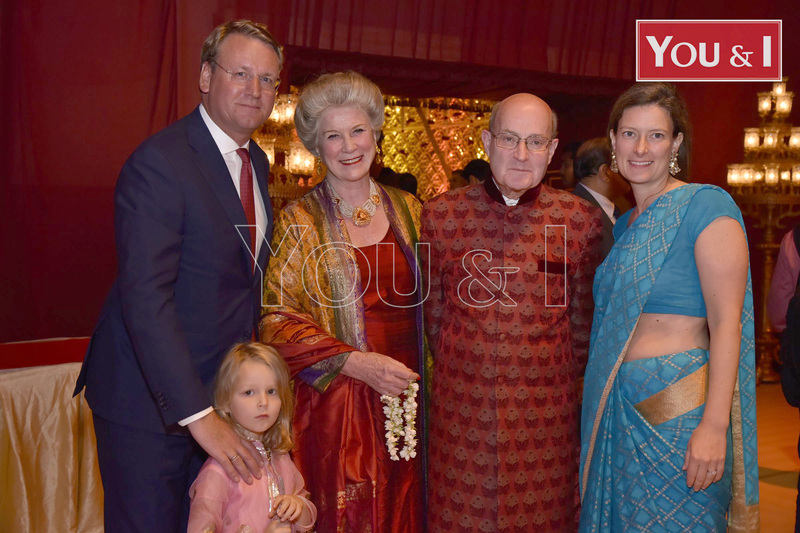 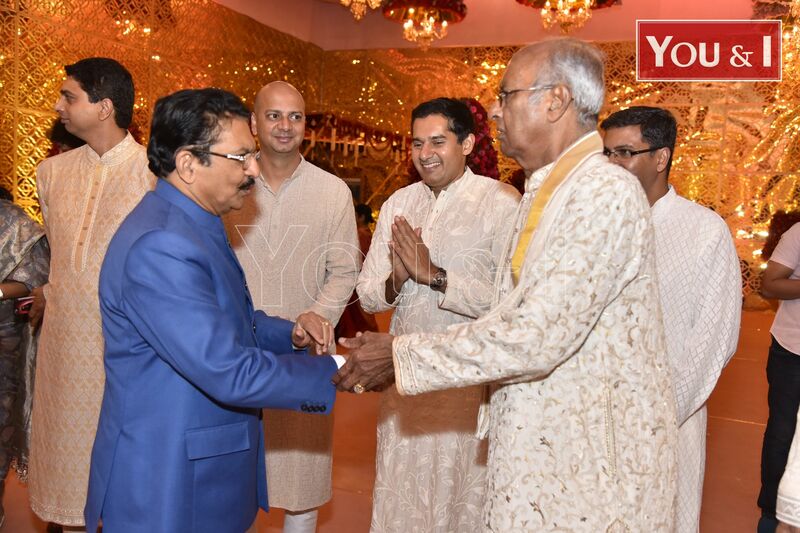 Hyderabad’s two prominent business families have come together through a grand wedding alliance. 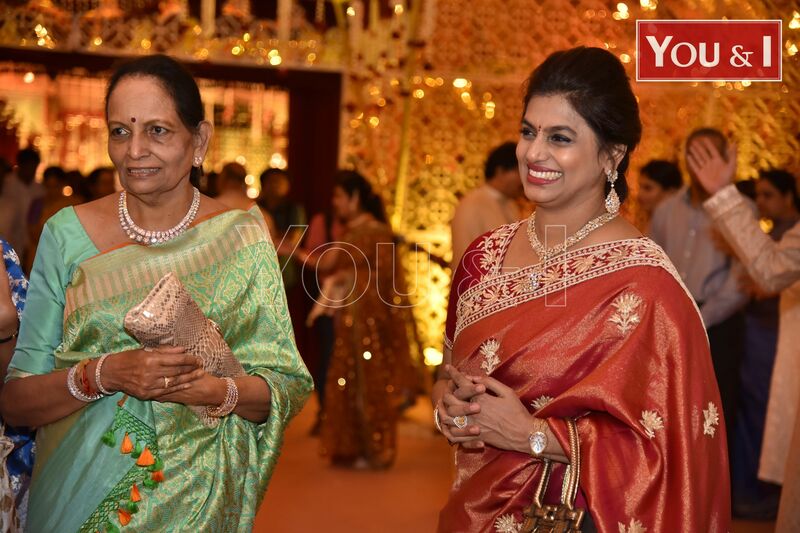 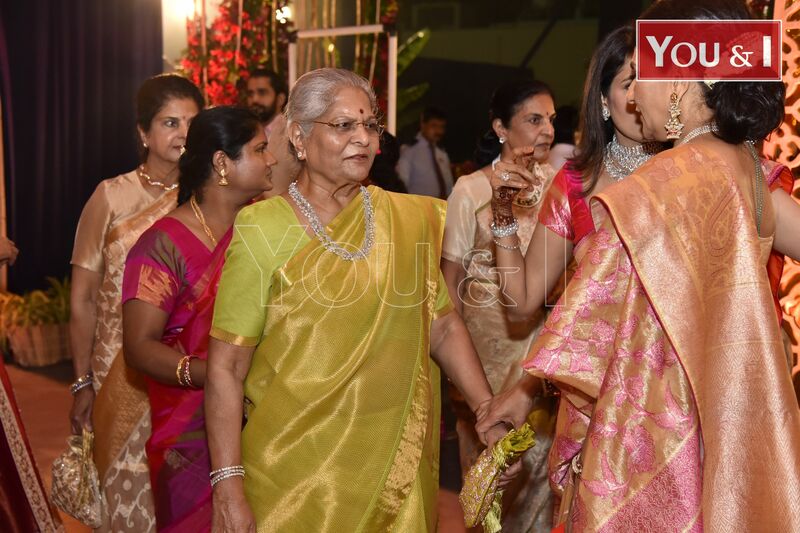 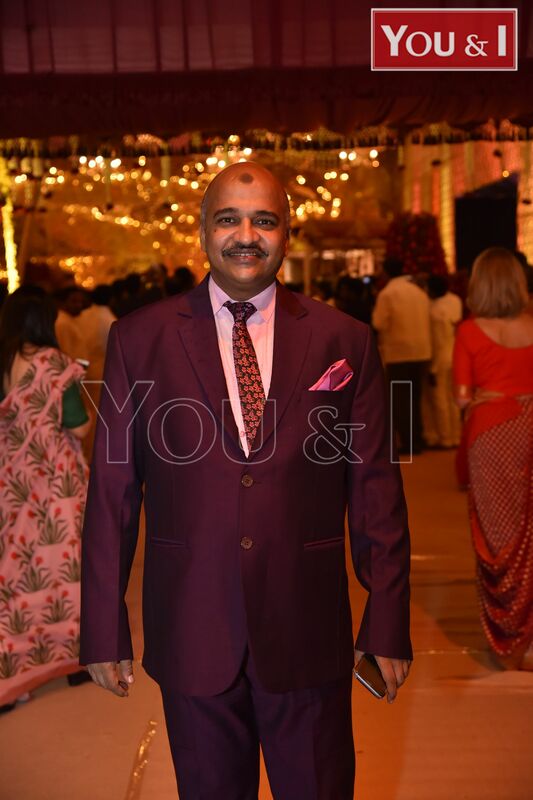 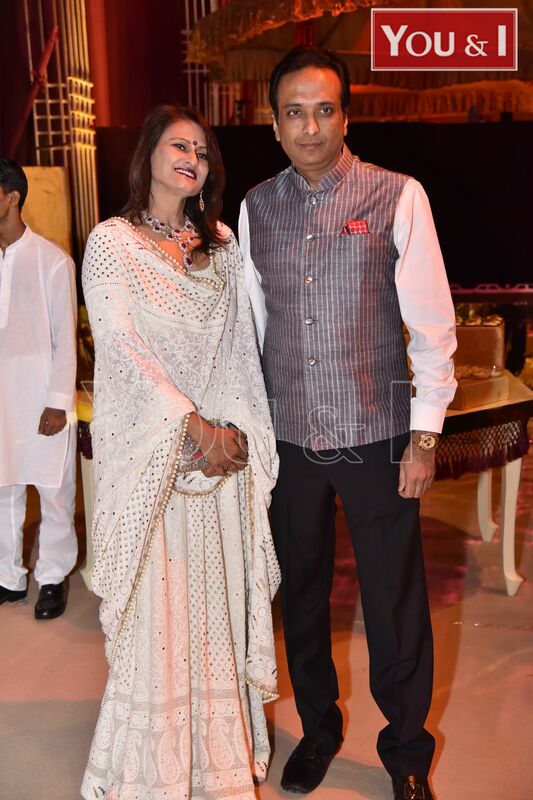 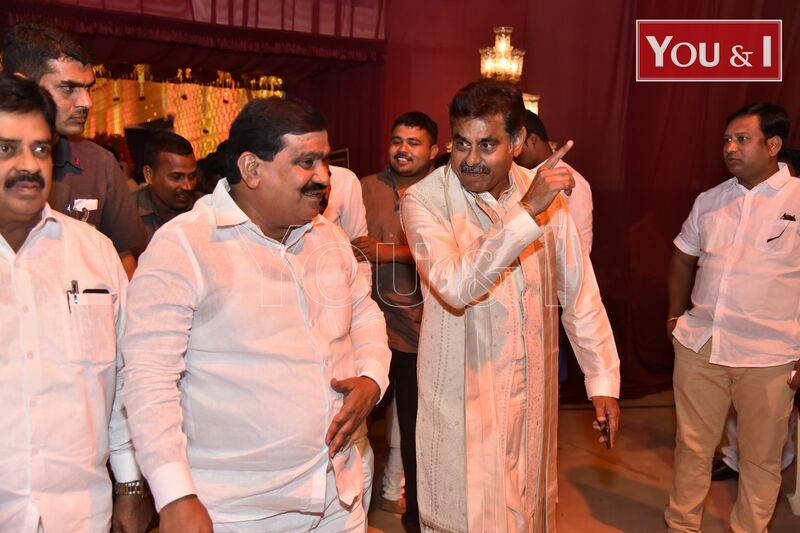 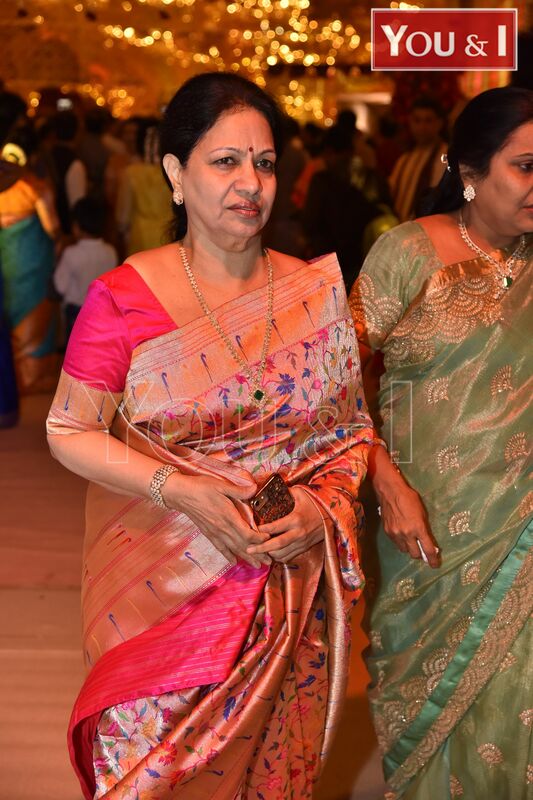 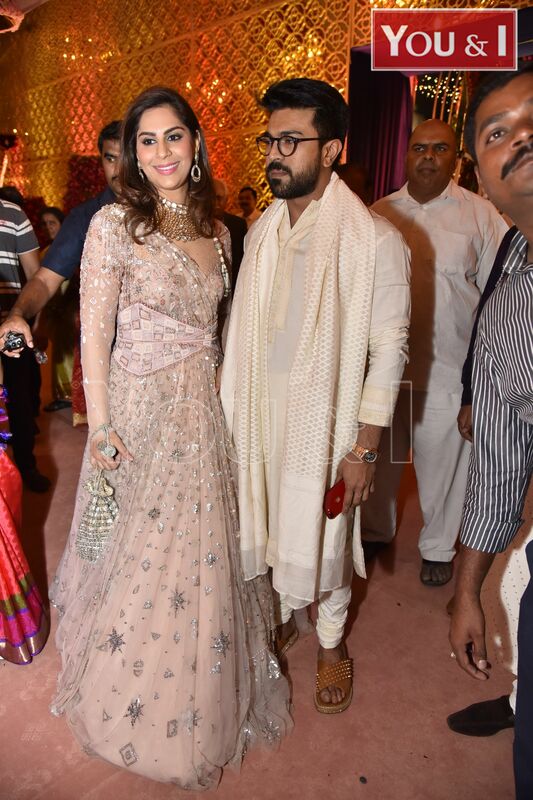 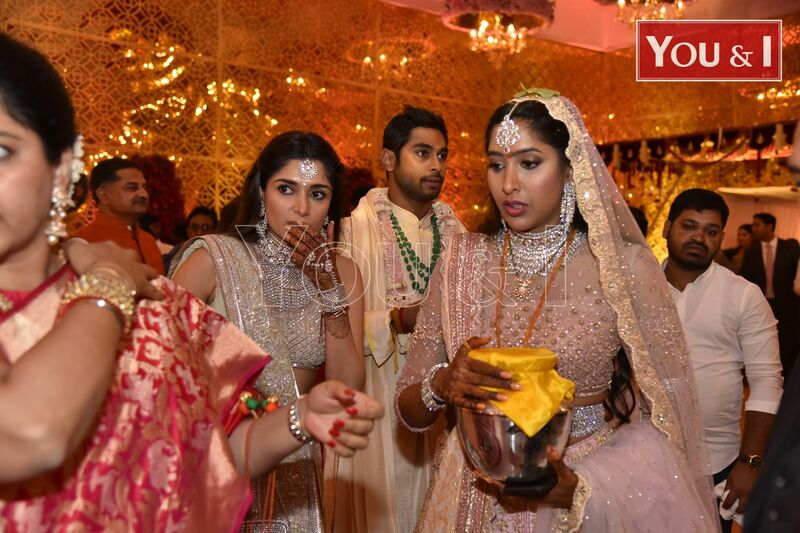 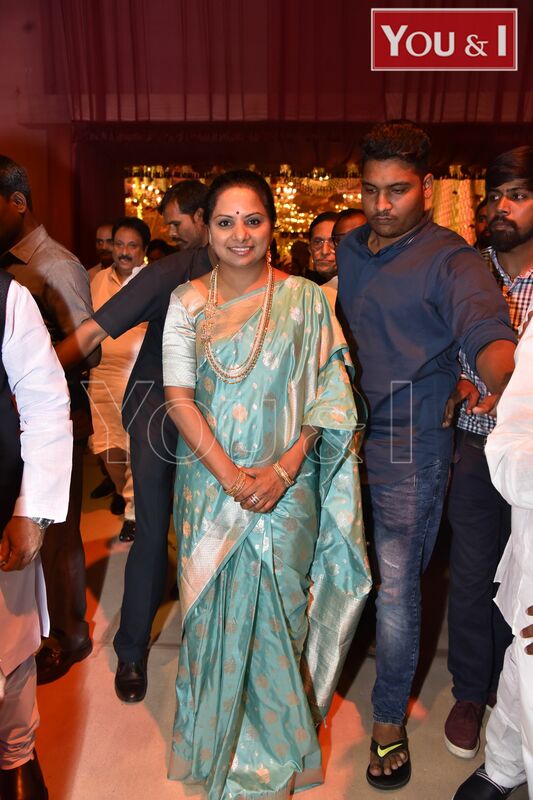 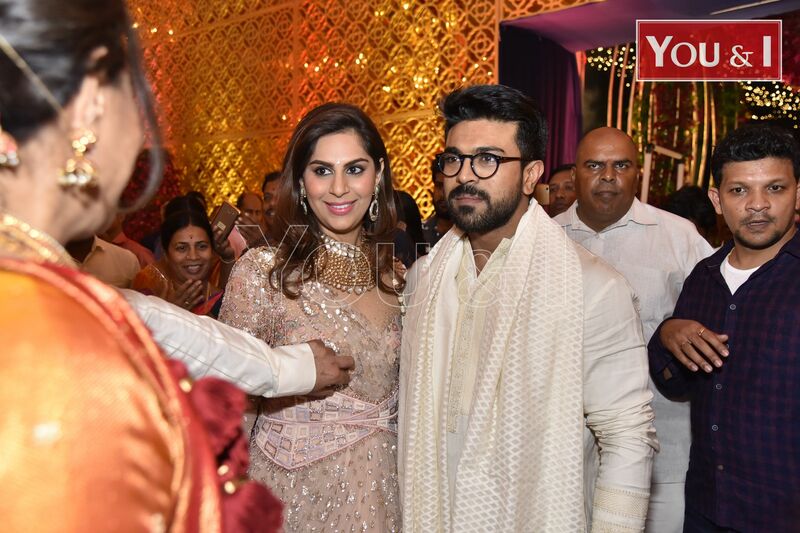 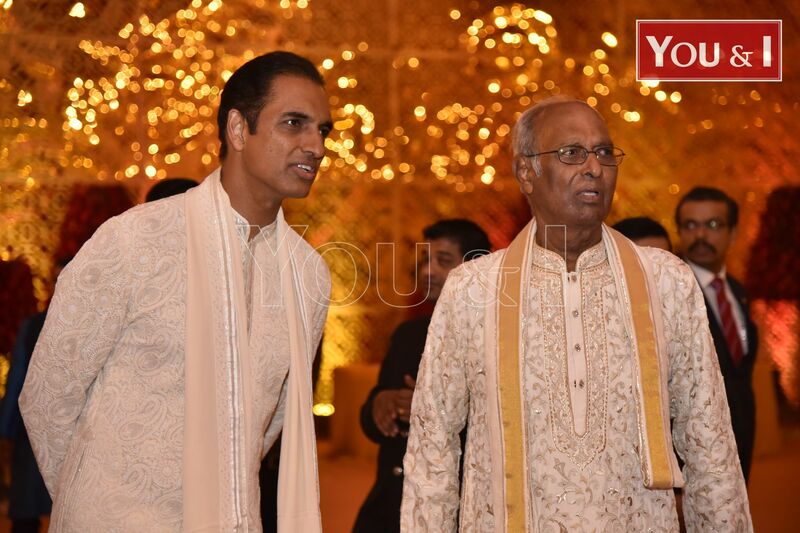 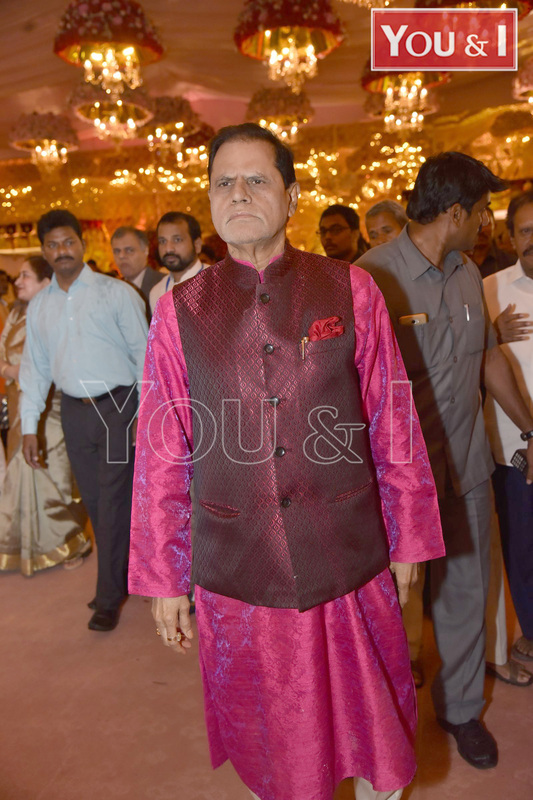 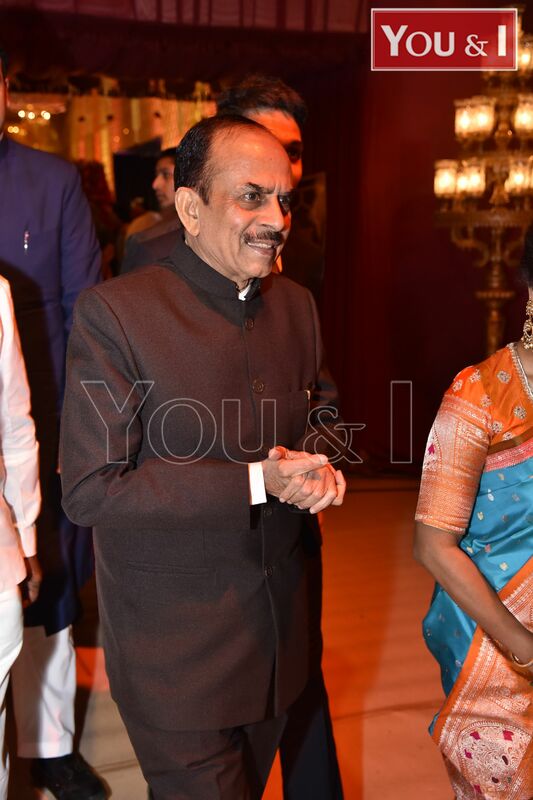 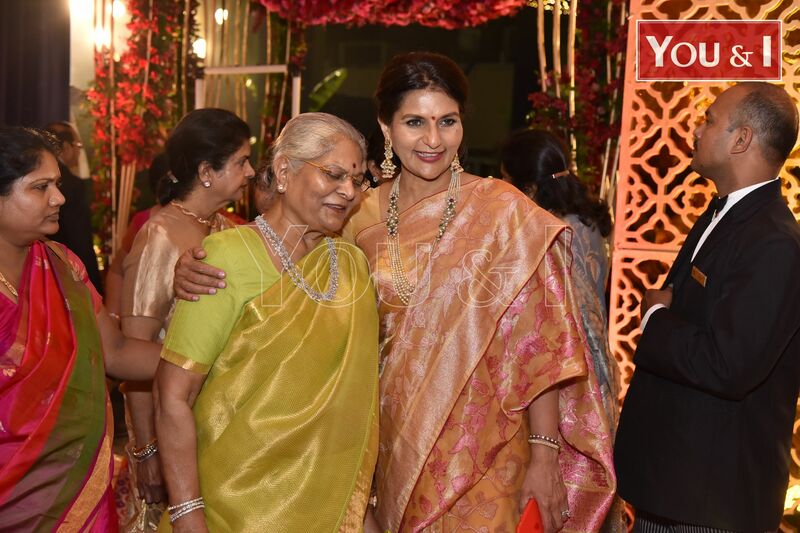 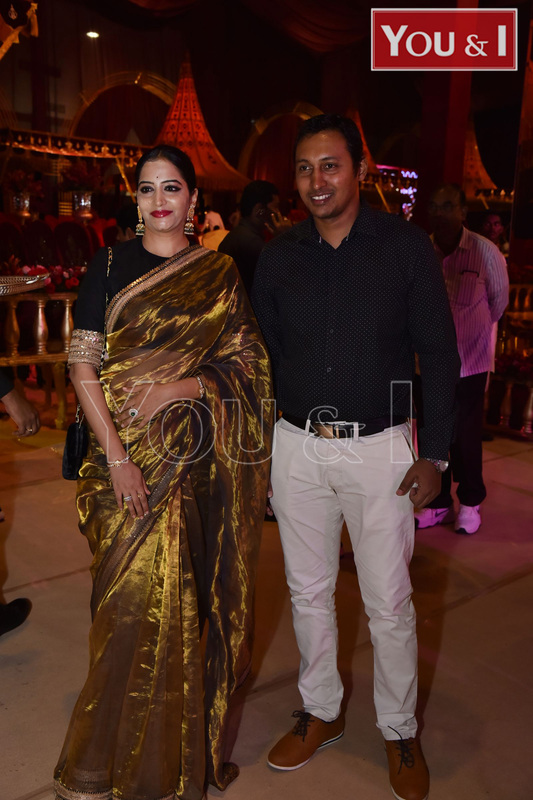 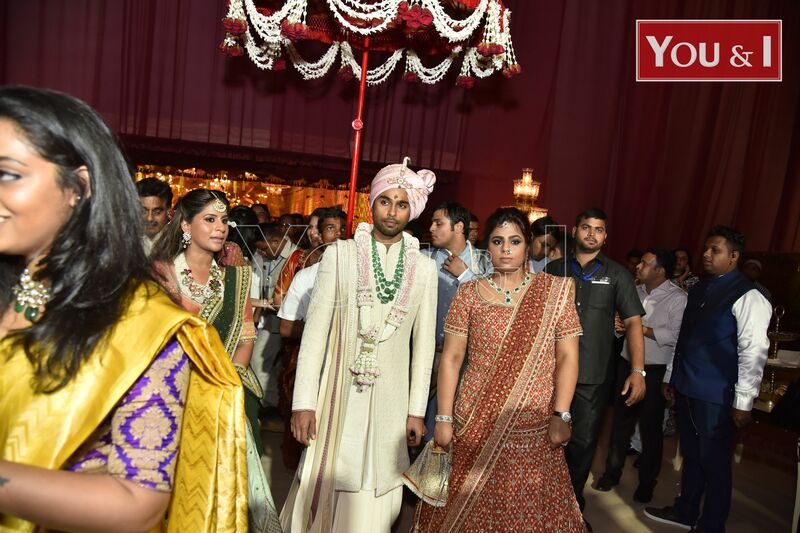 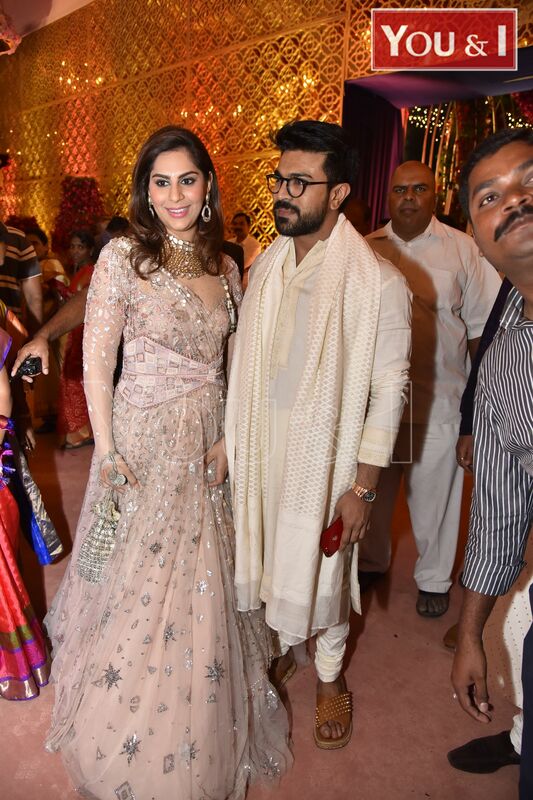 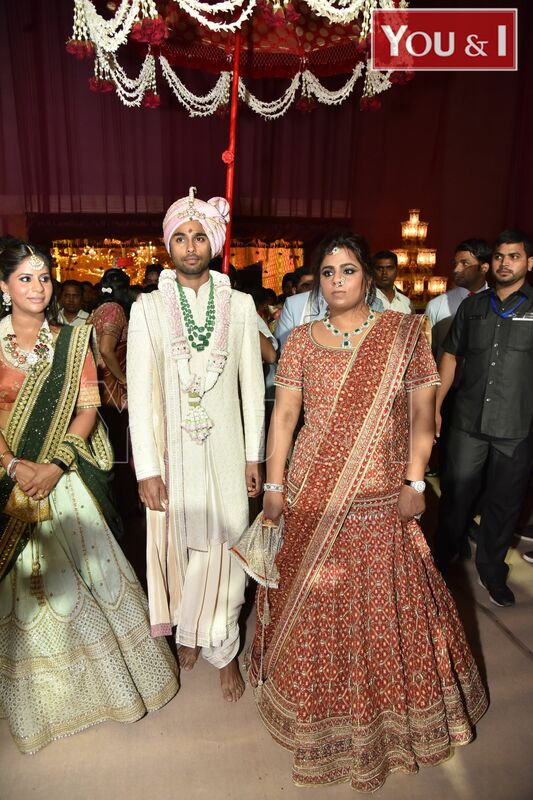 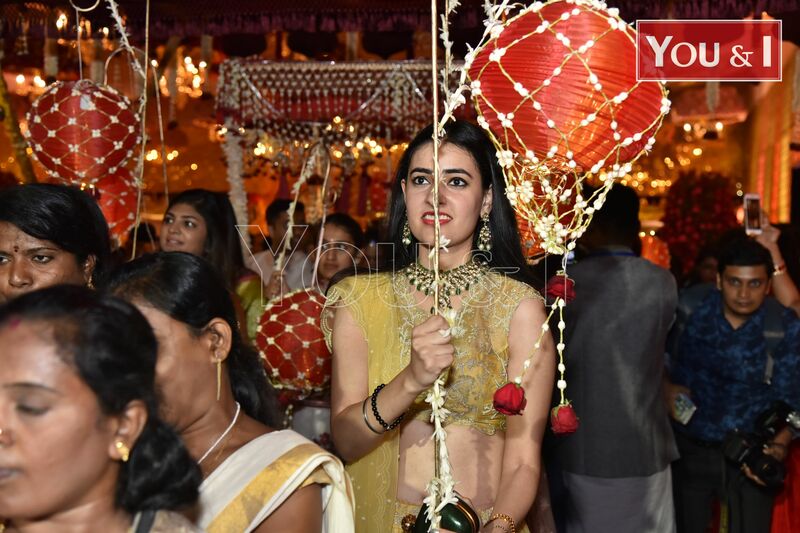 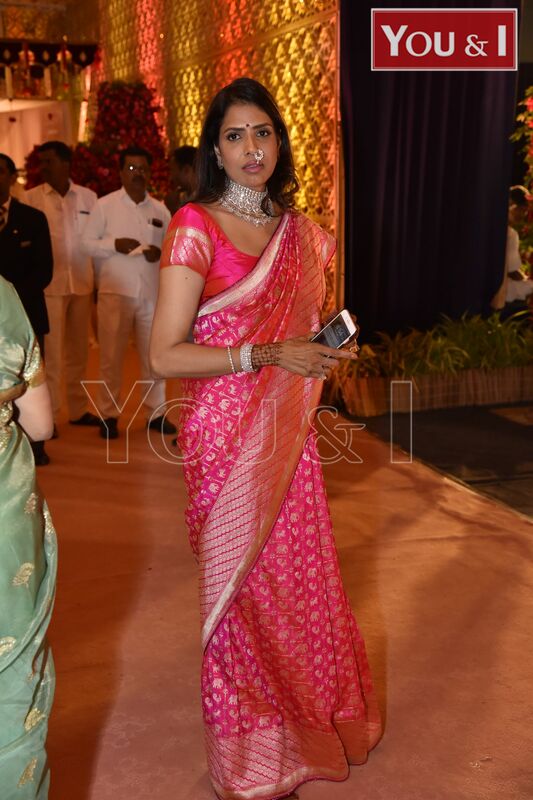 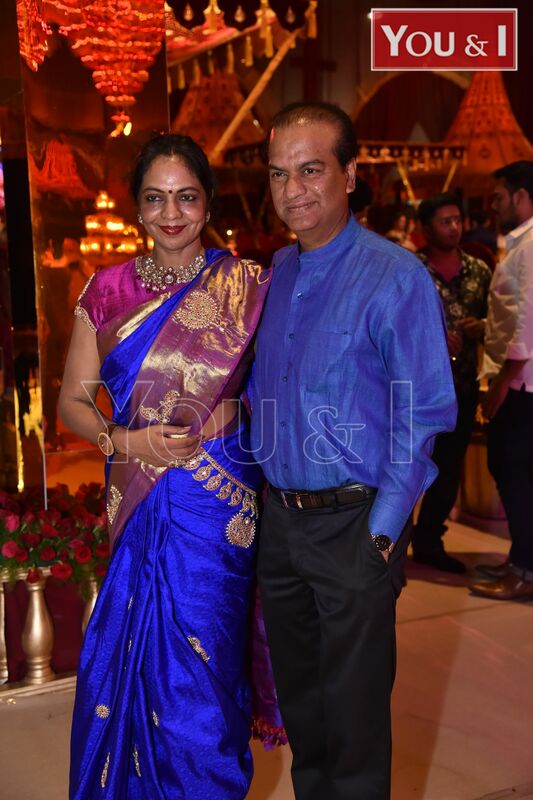 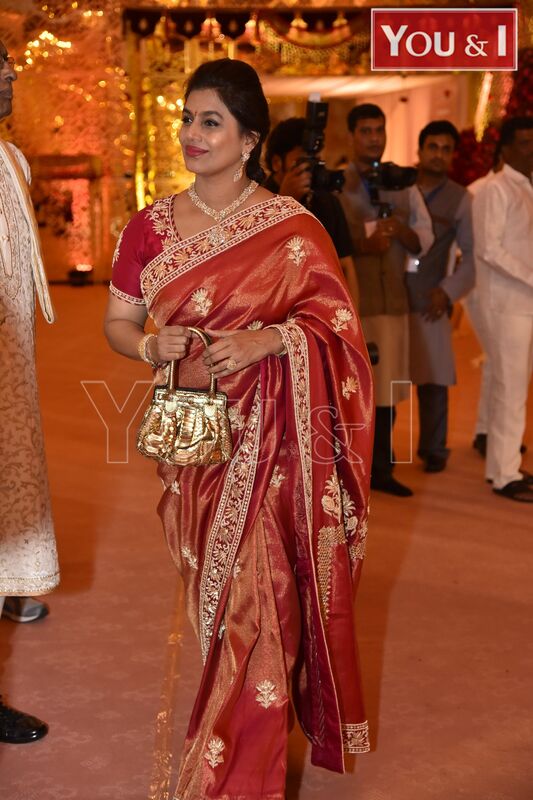 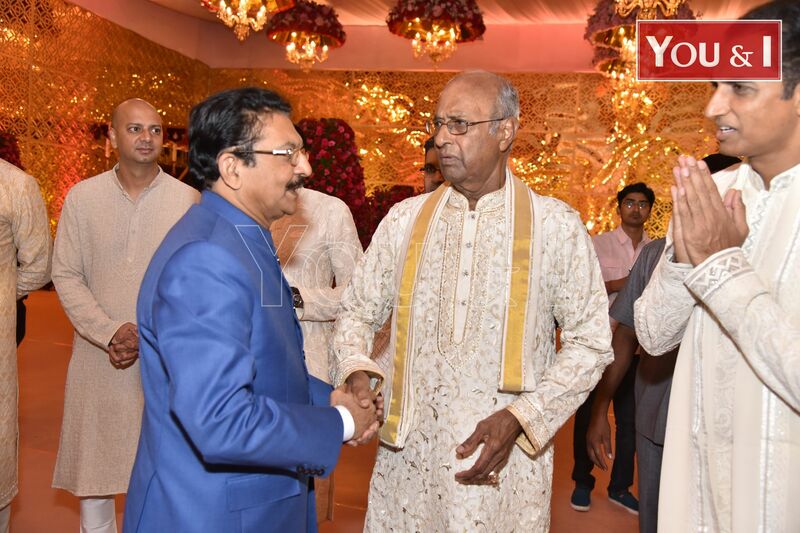 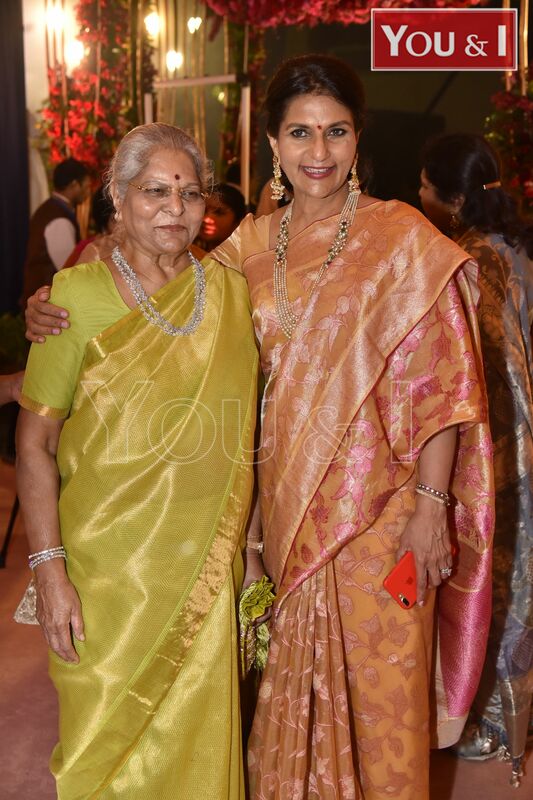 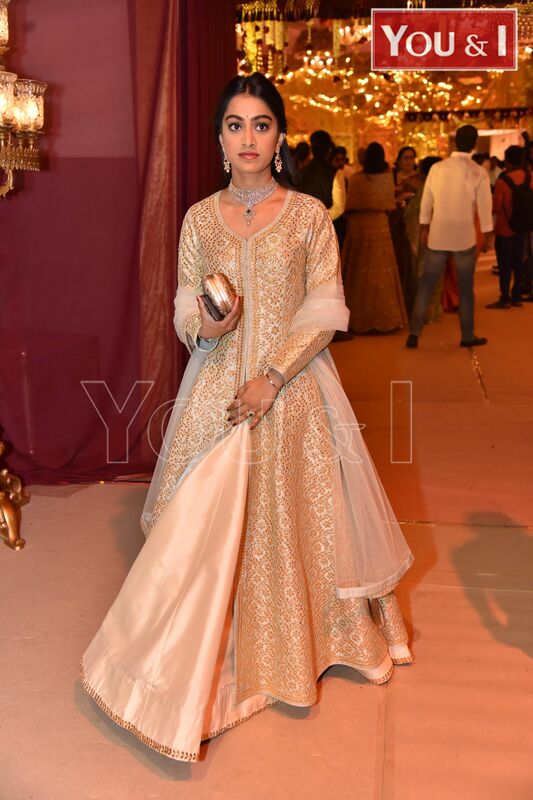 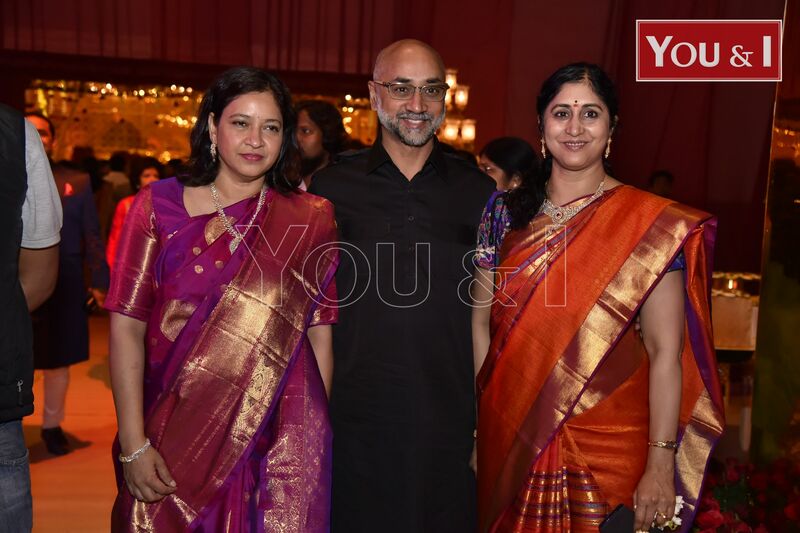 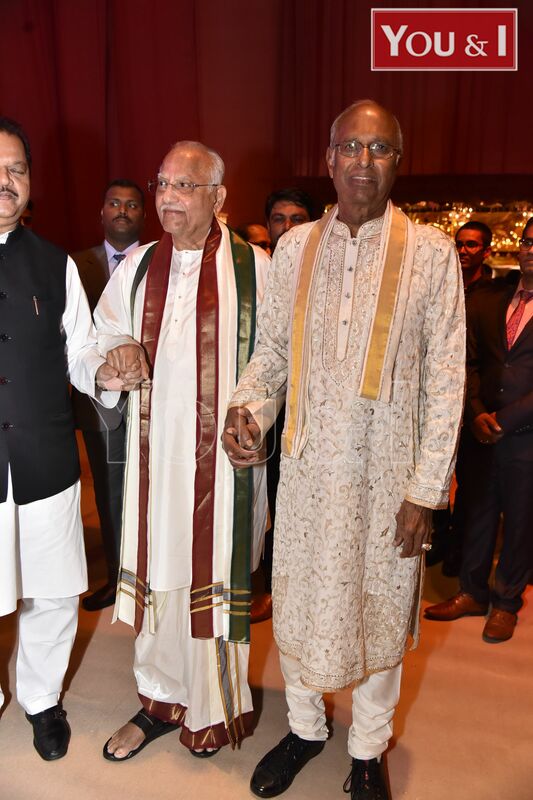 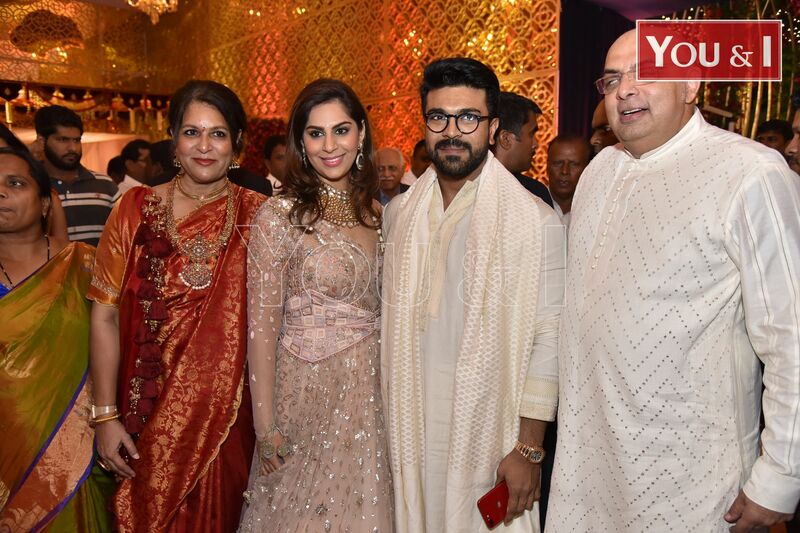 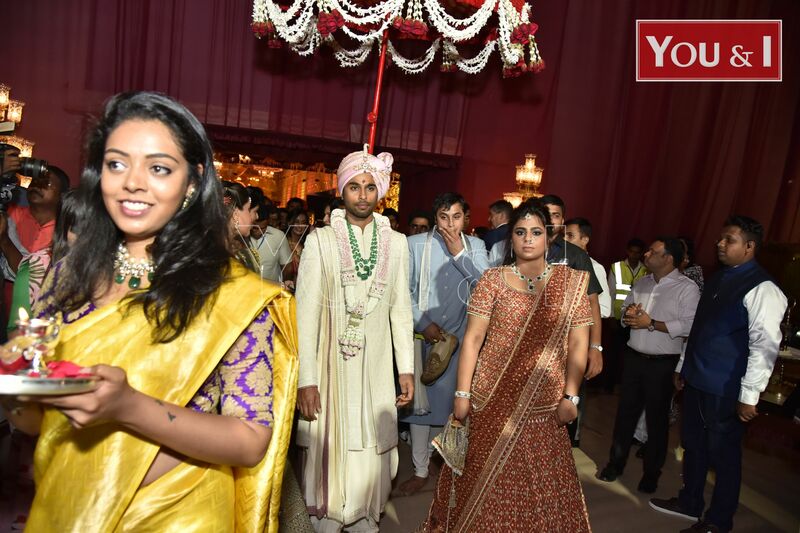 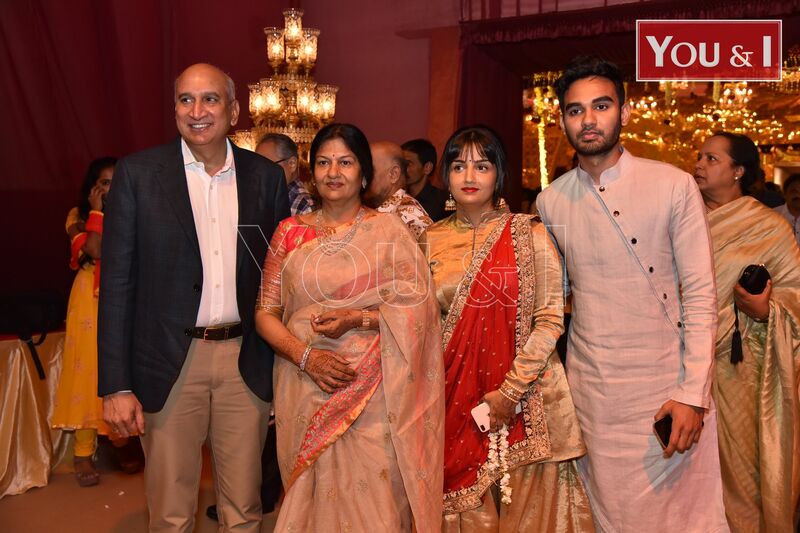 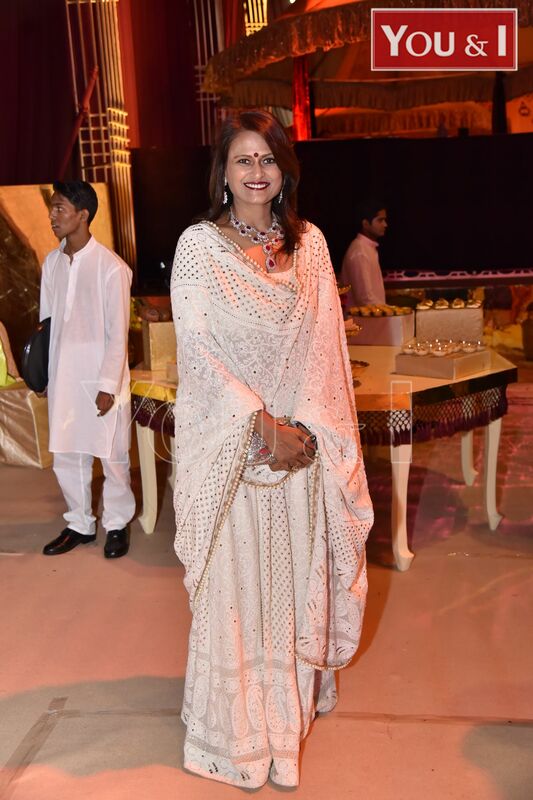 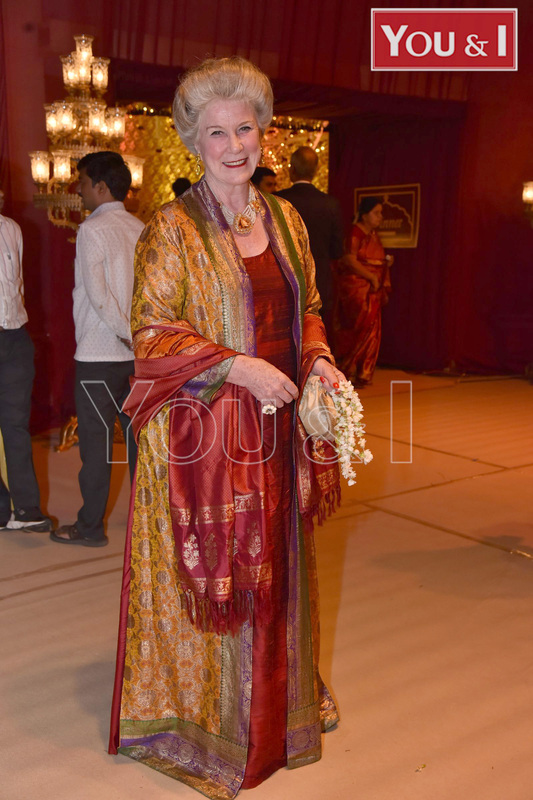 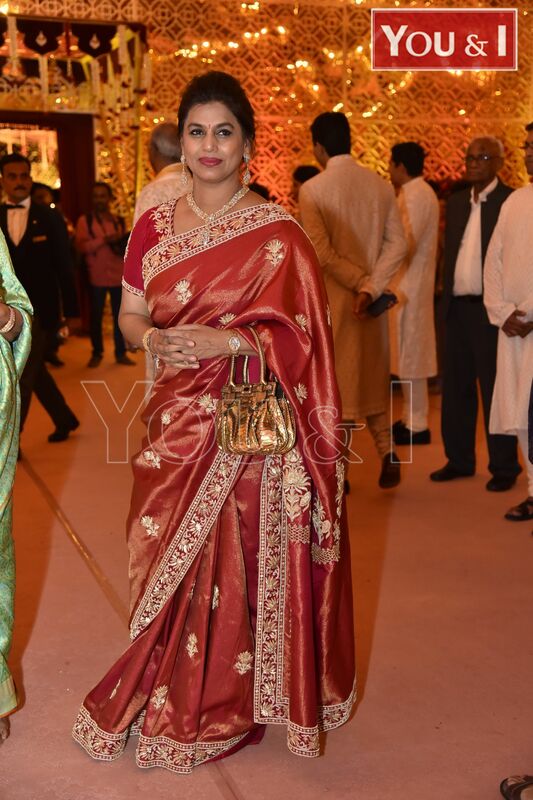 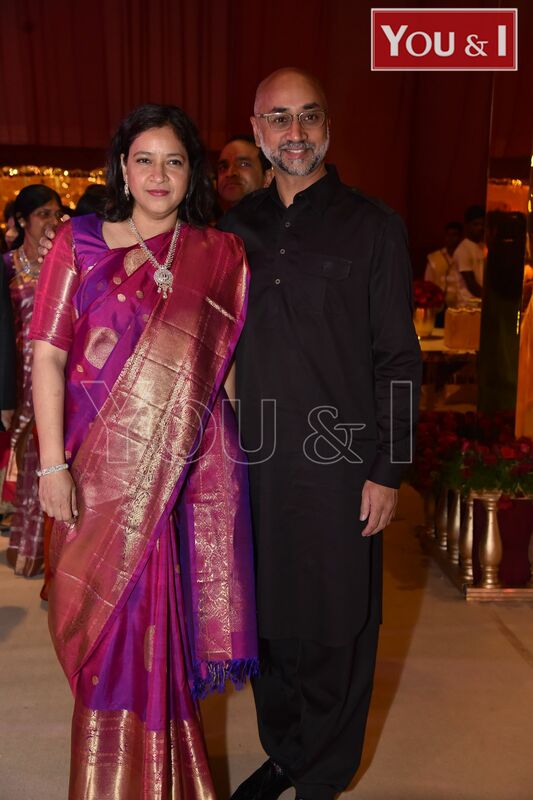 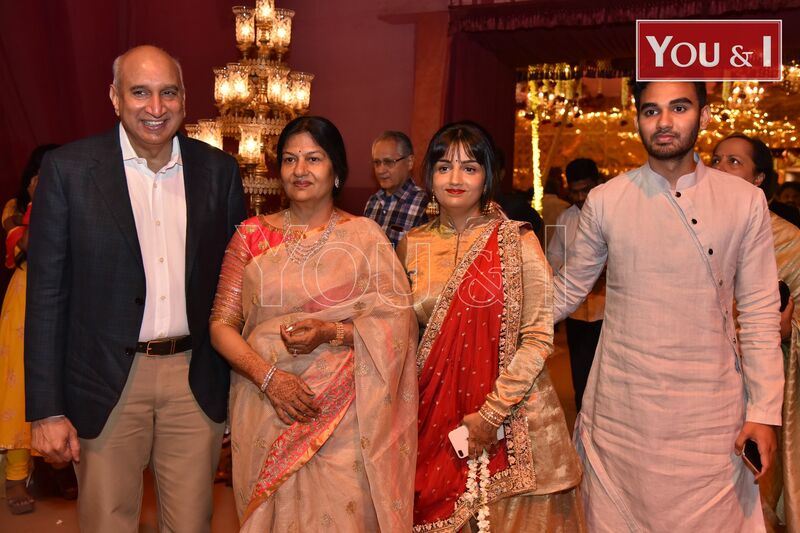 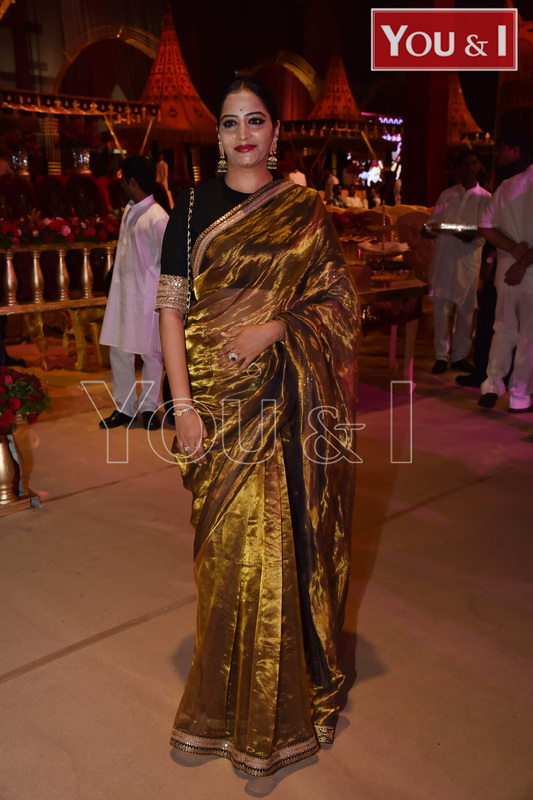 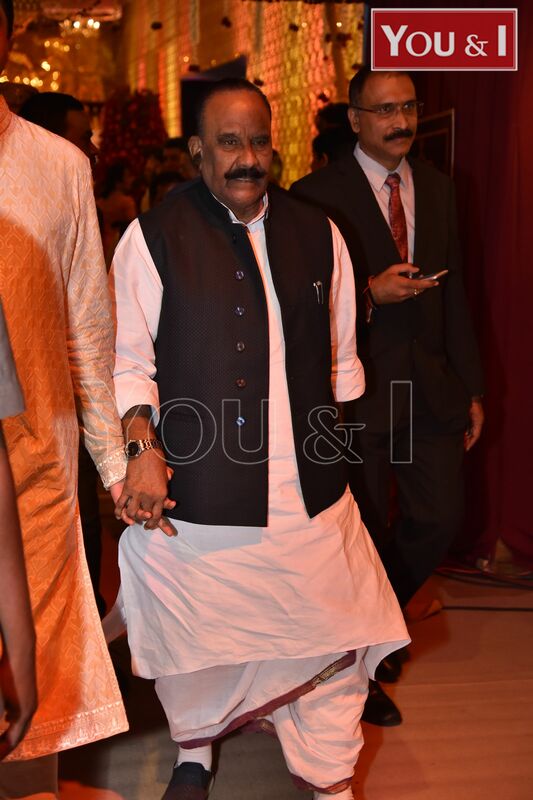 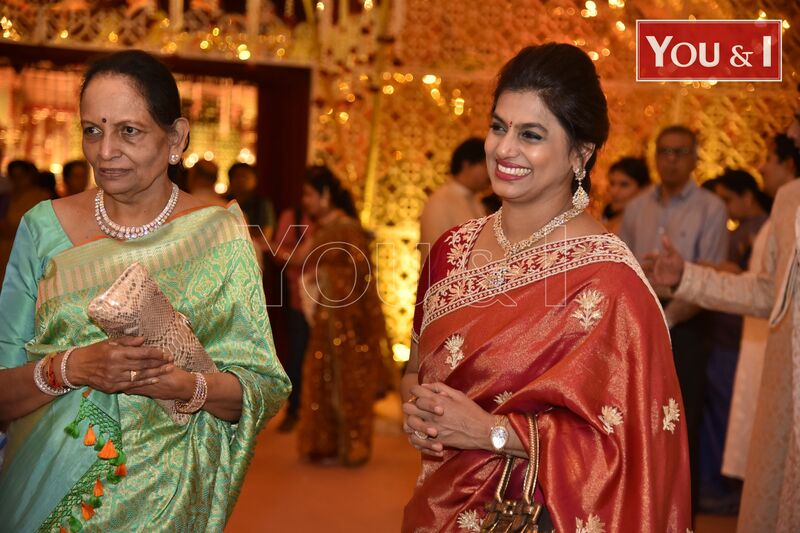 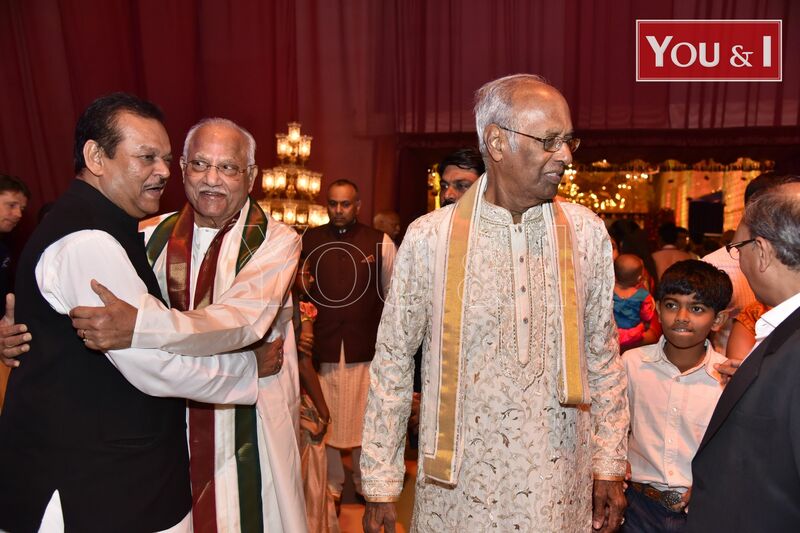 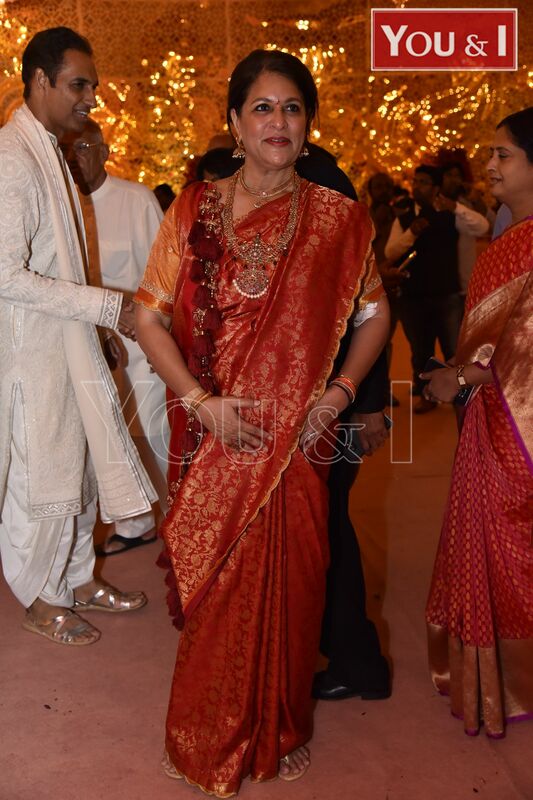 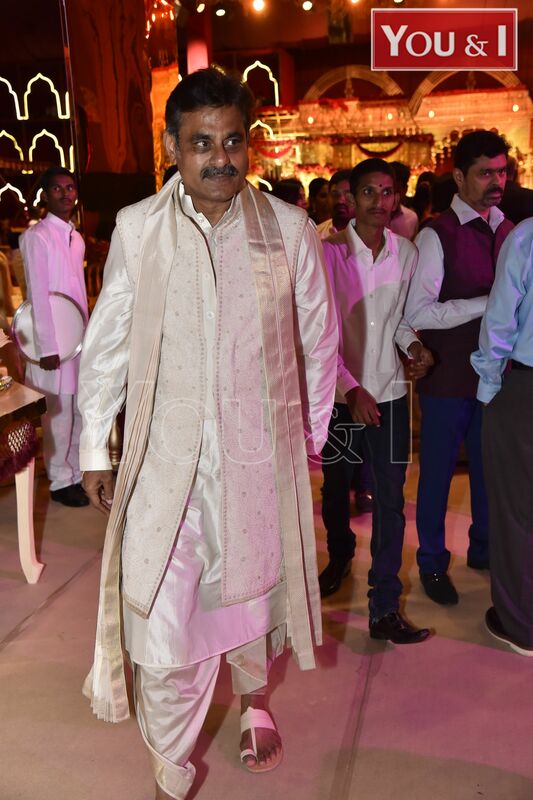 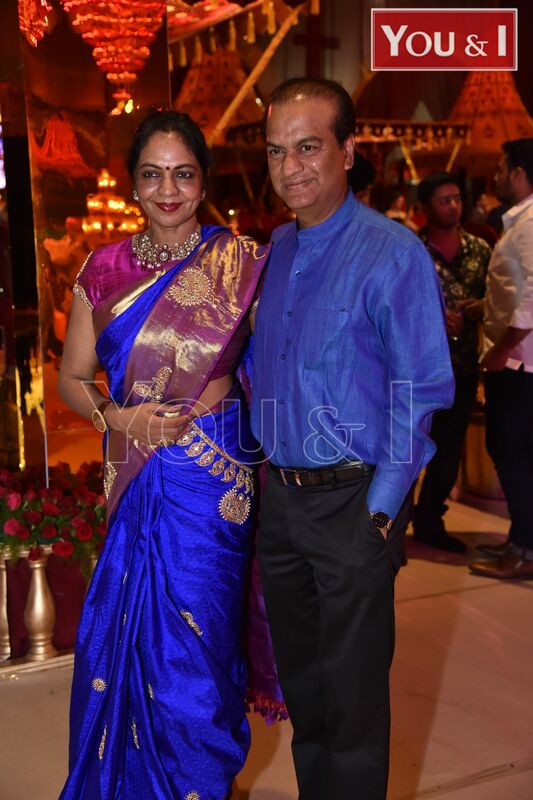 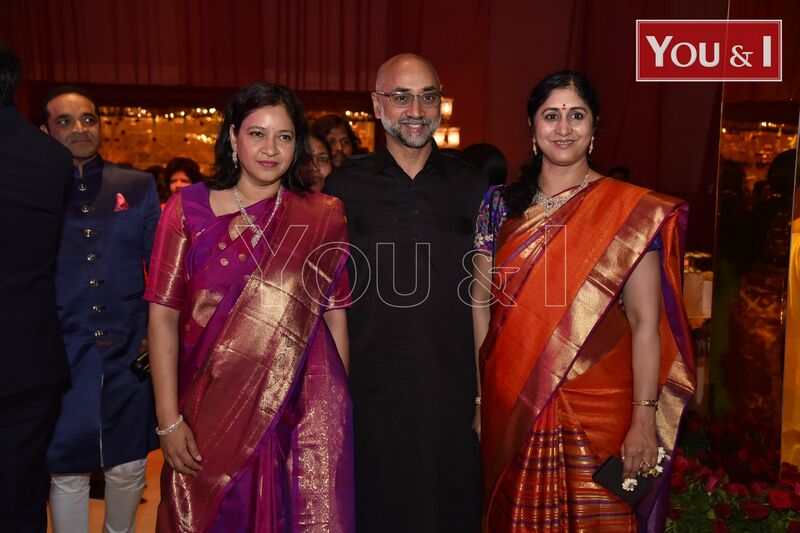 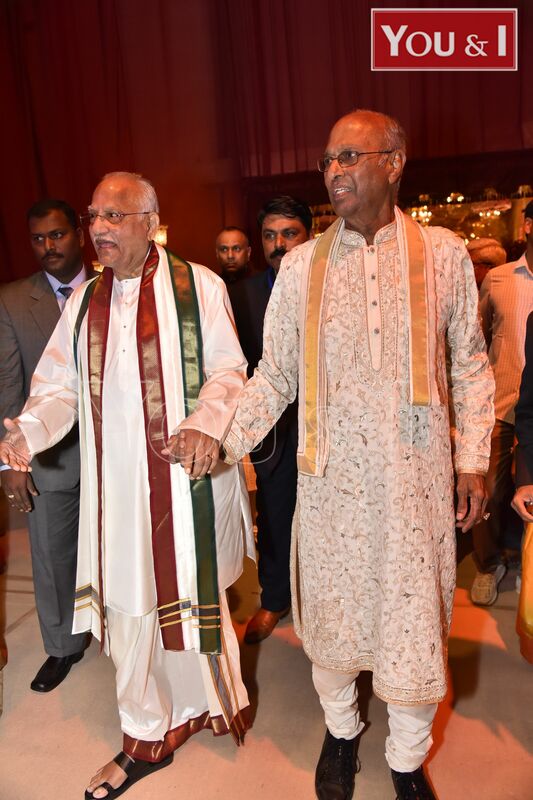 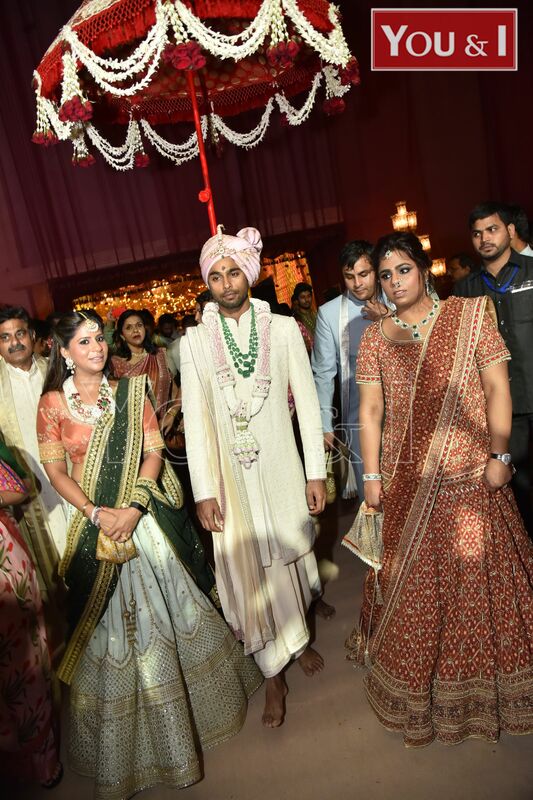 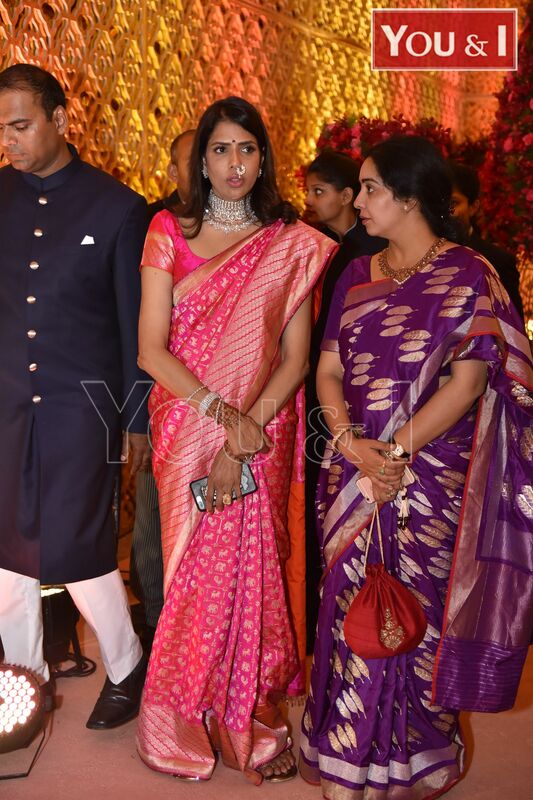 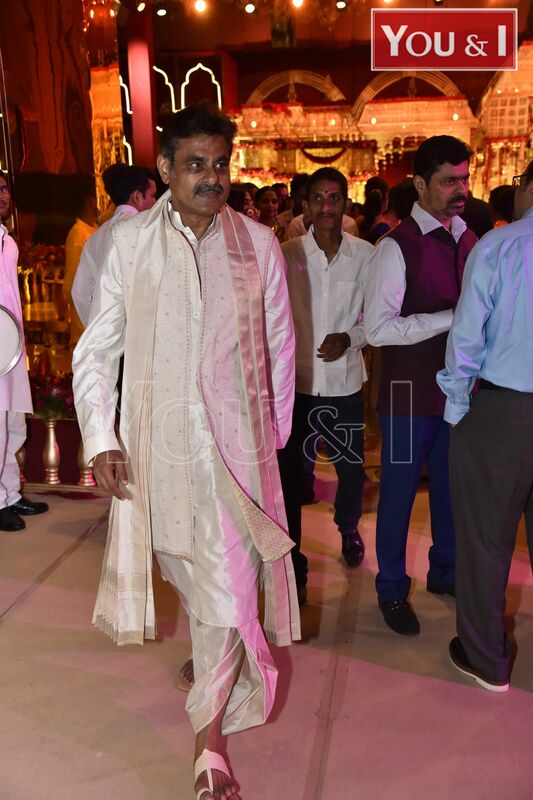 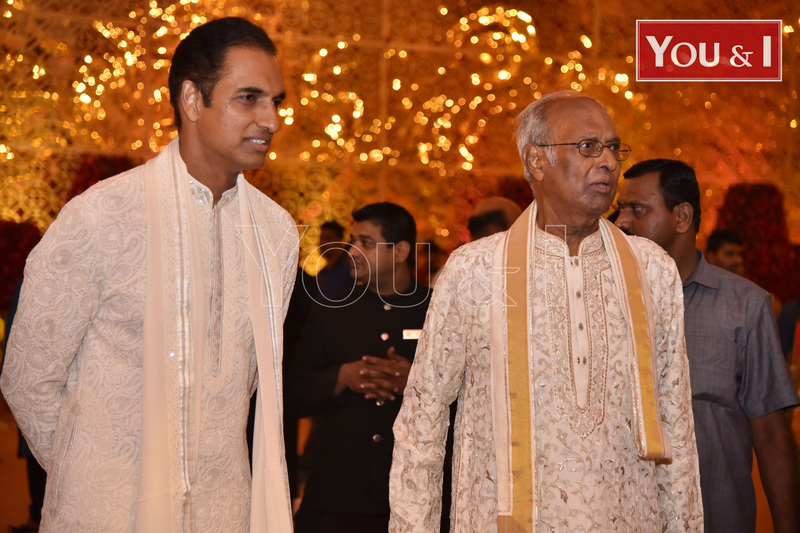 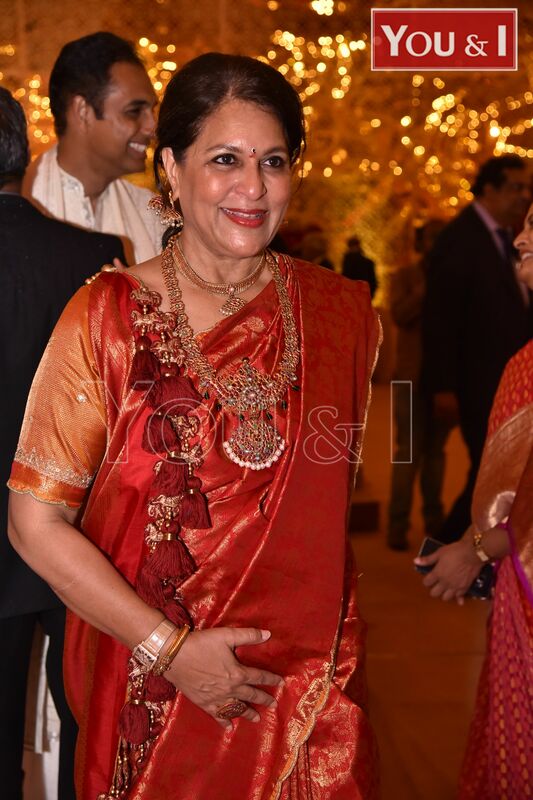 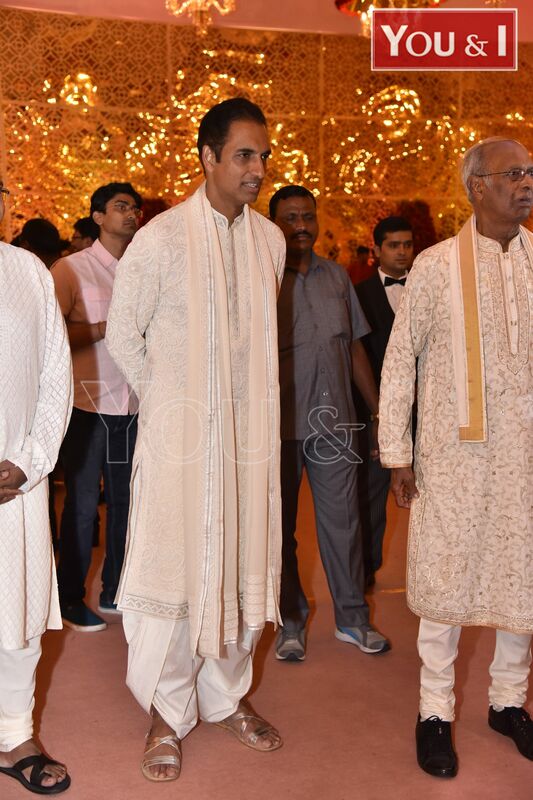 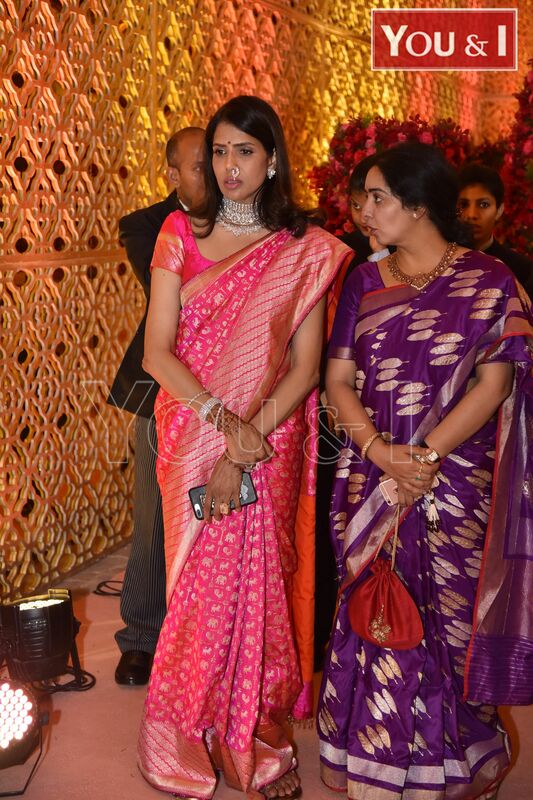 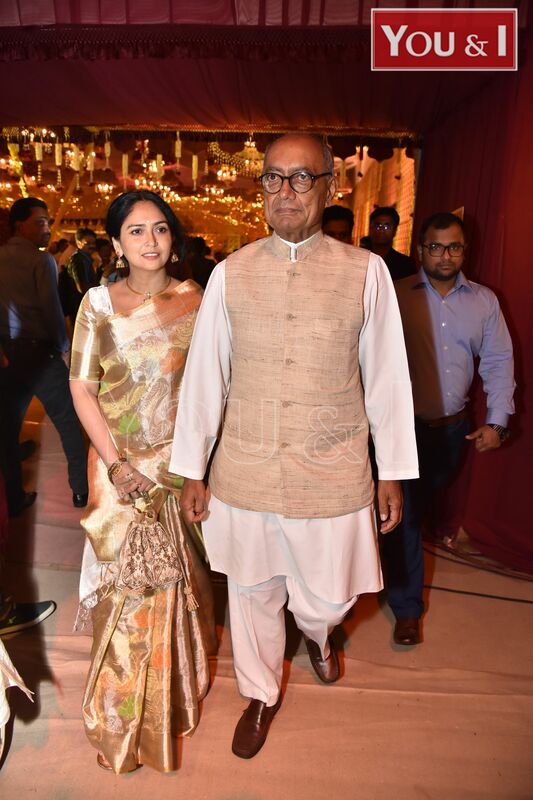 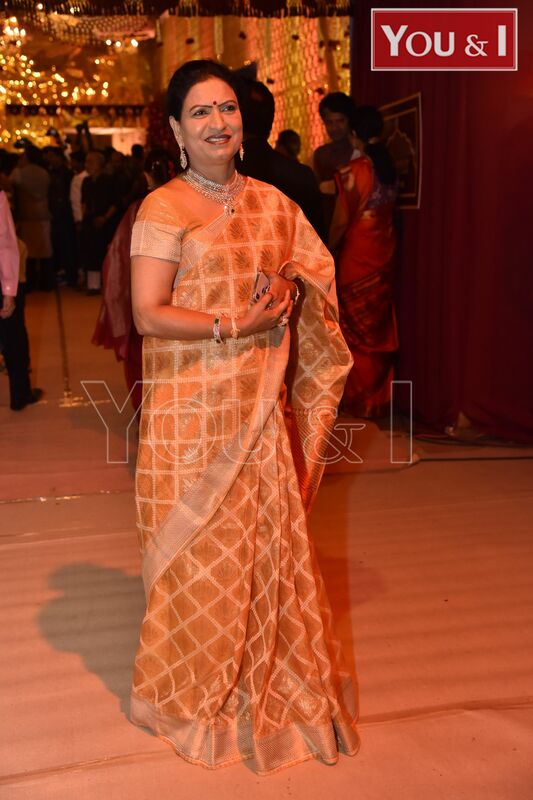 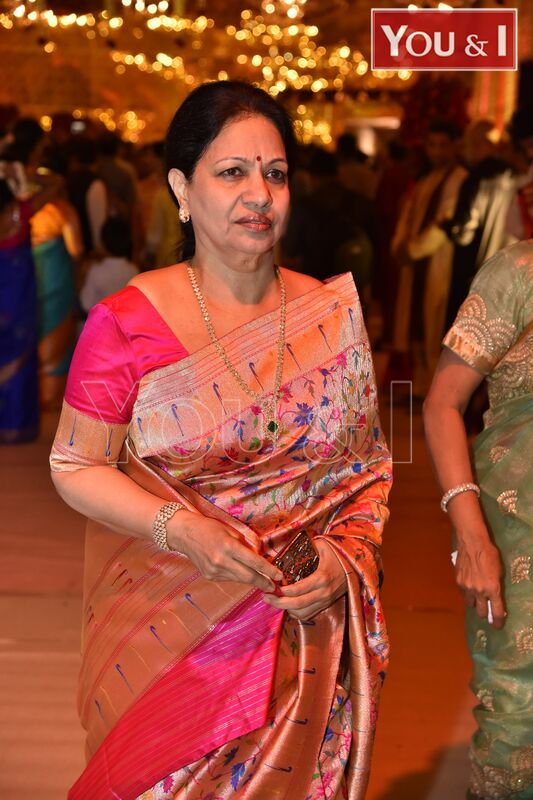 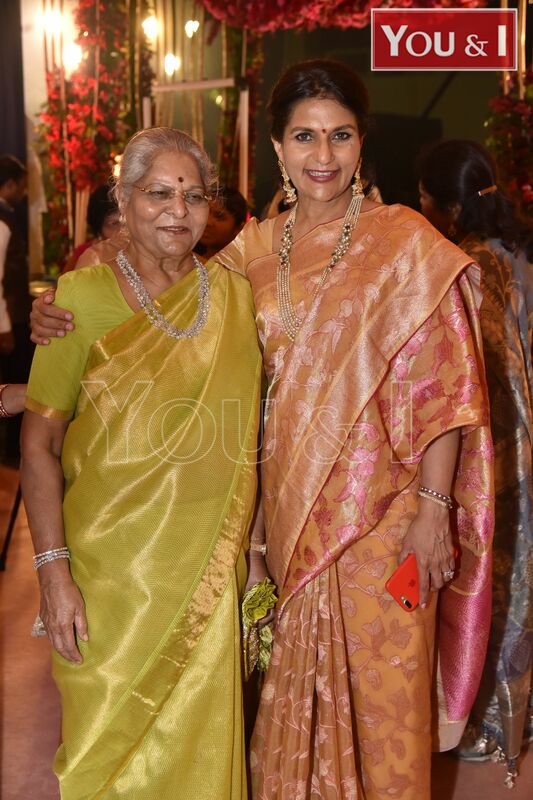 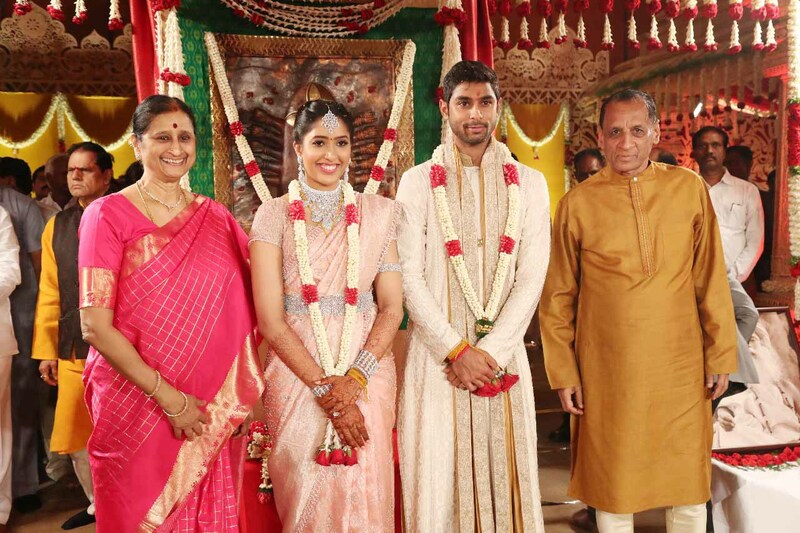 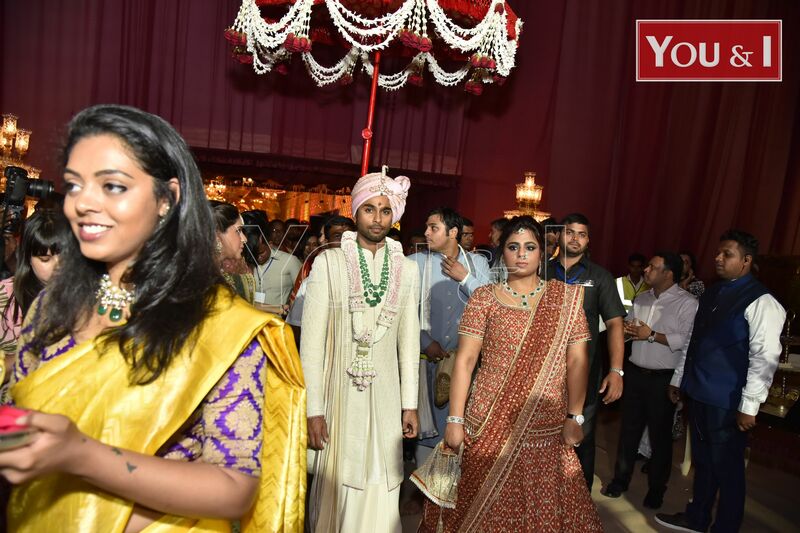 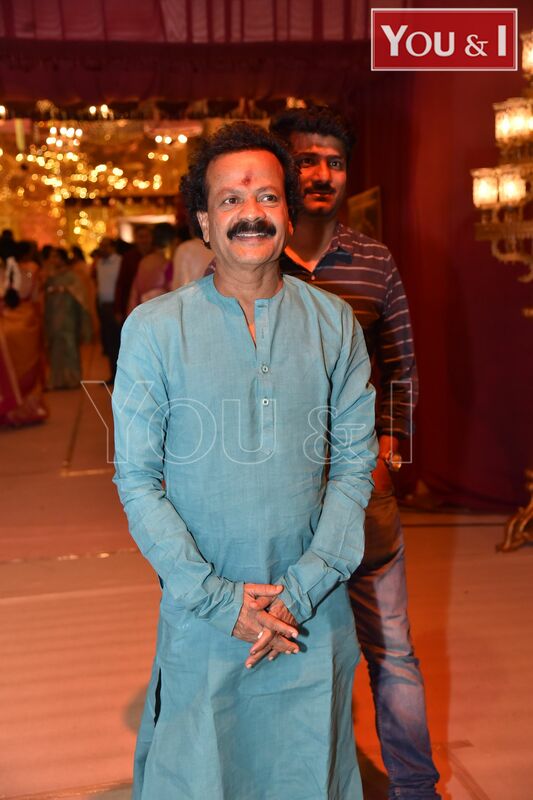 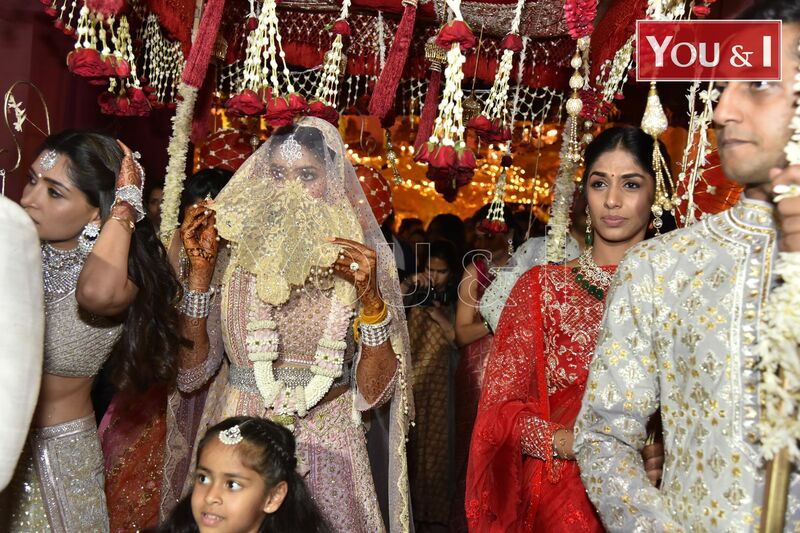 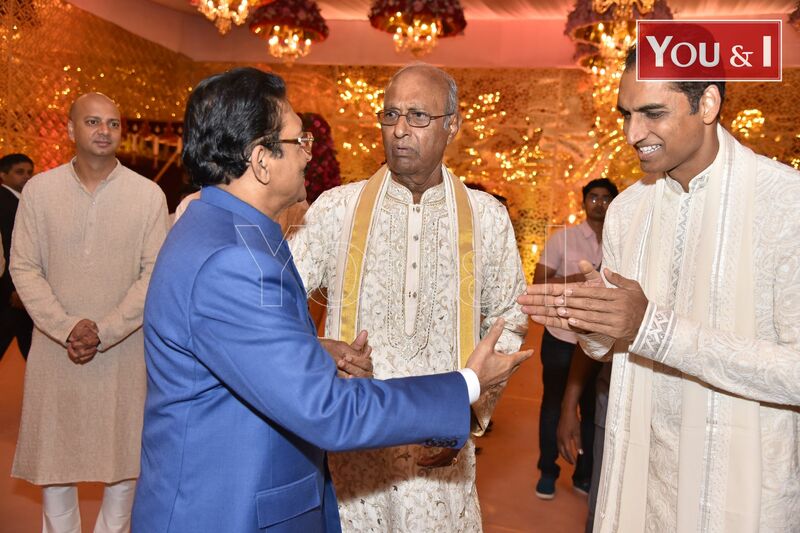 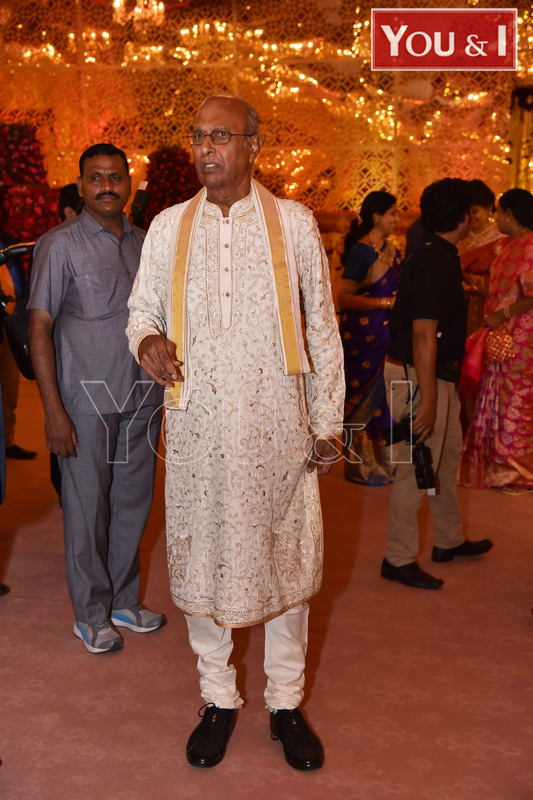 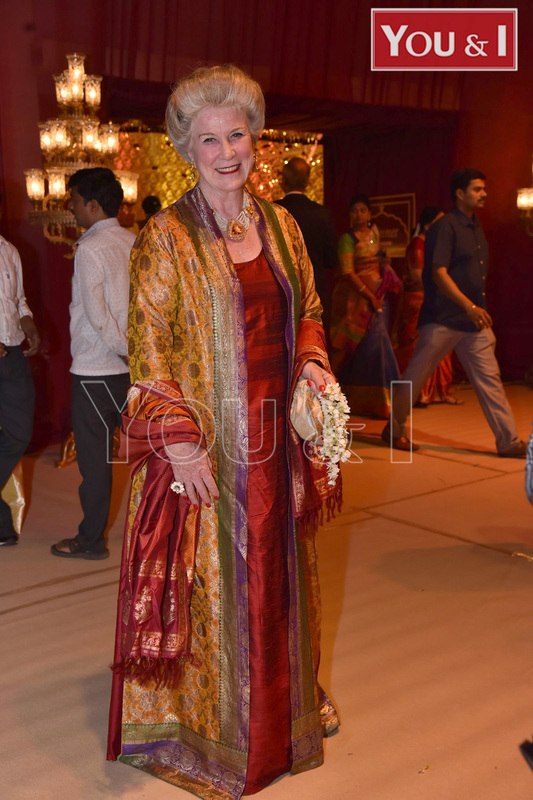 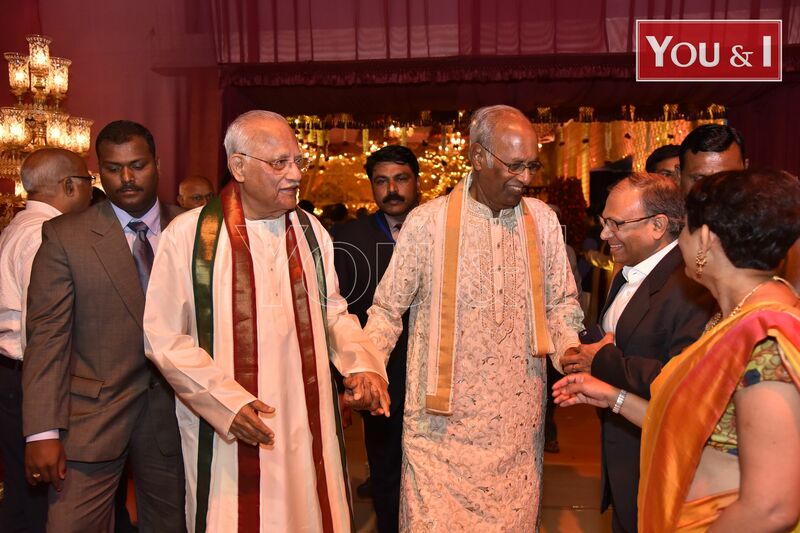 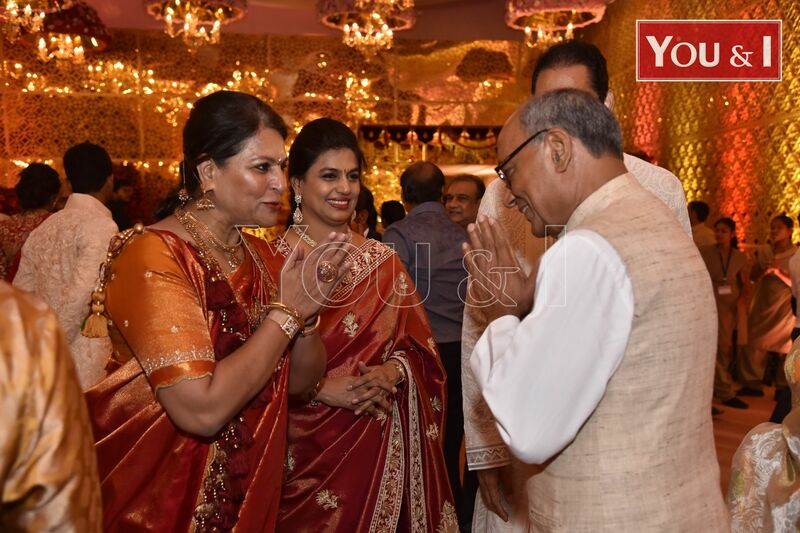 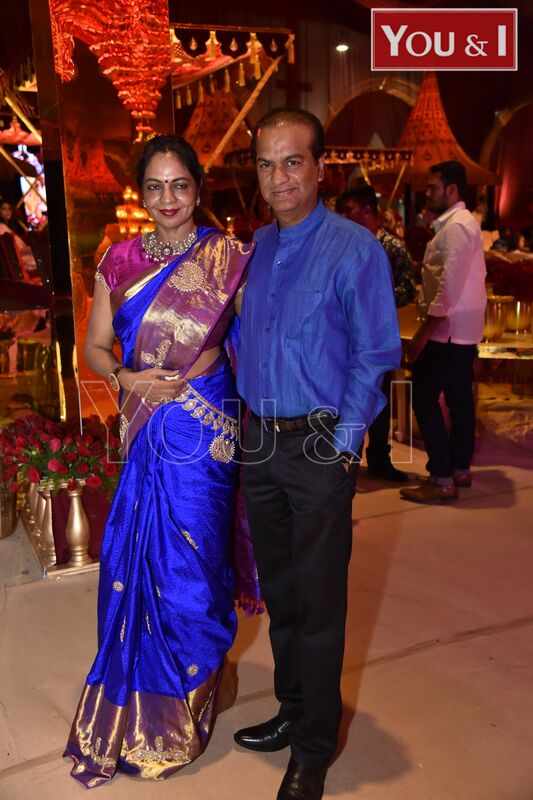 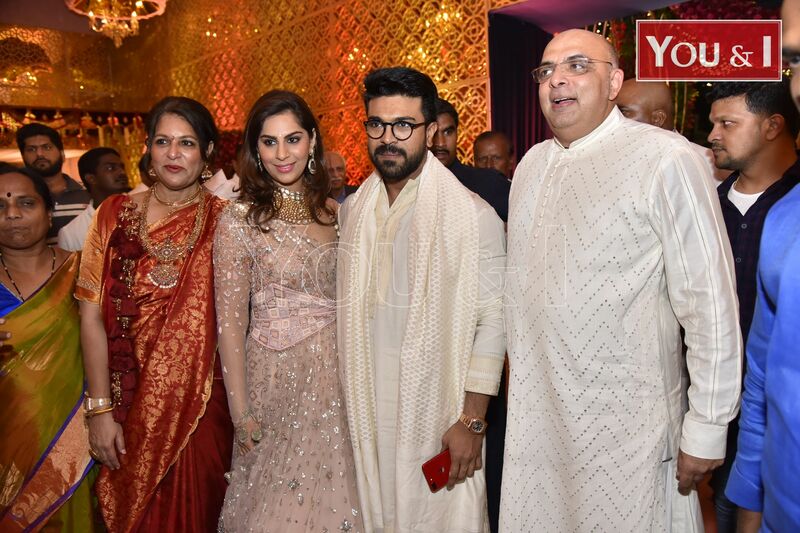 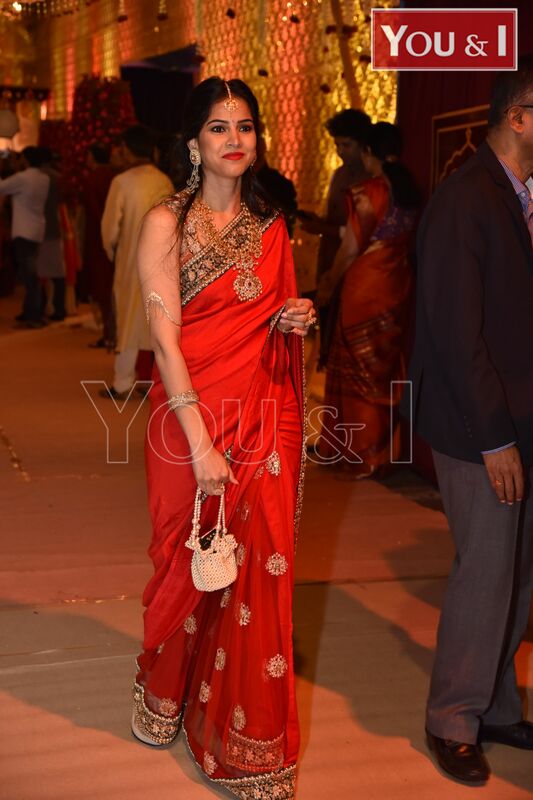 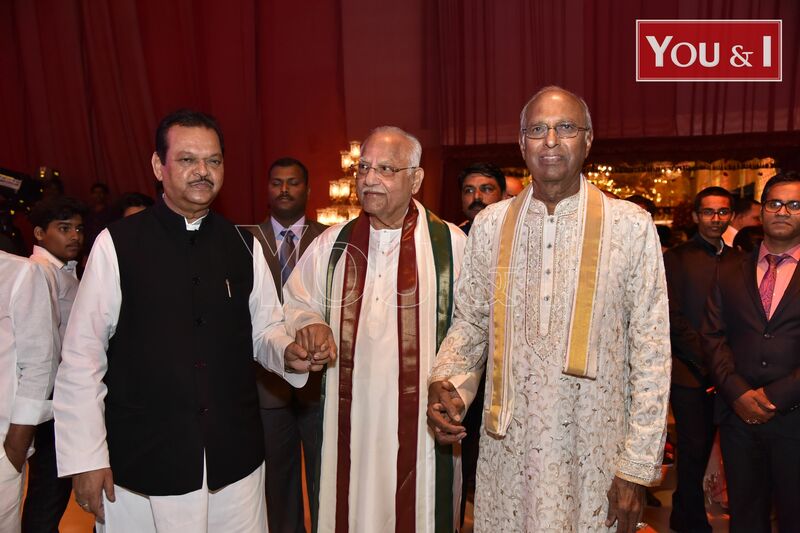 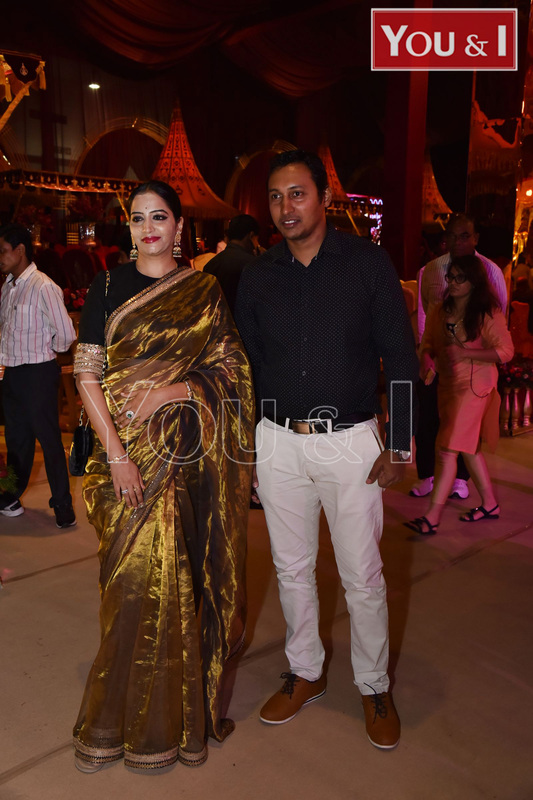 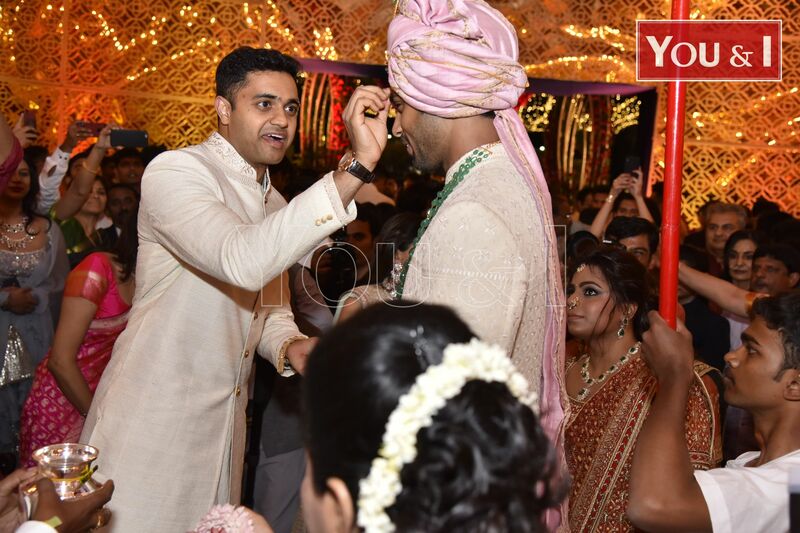 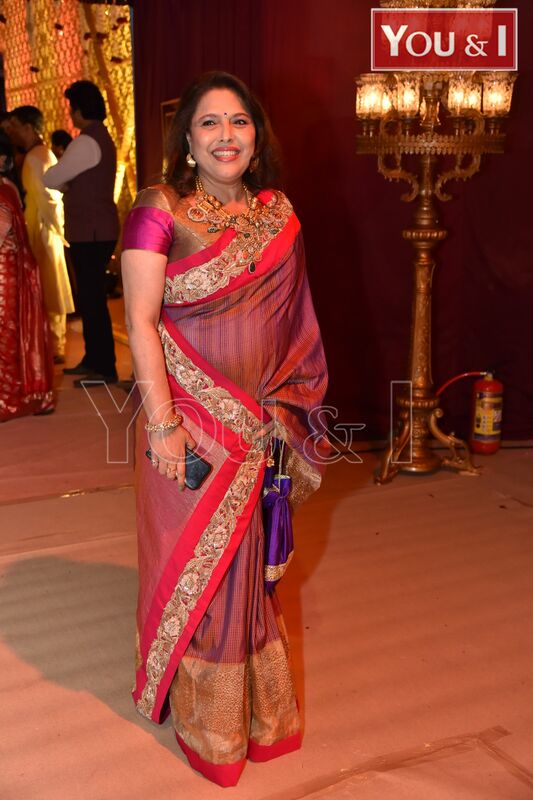 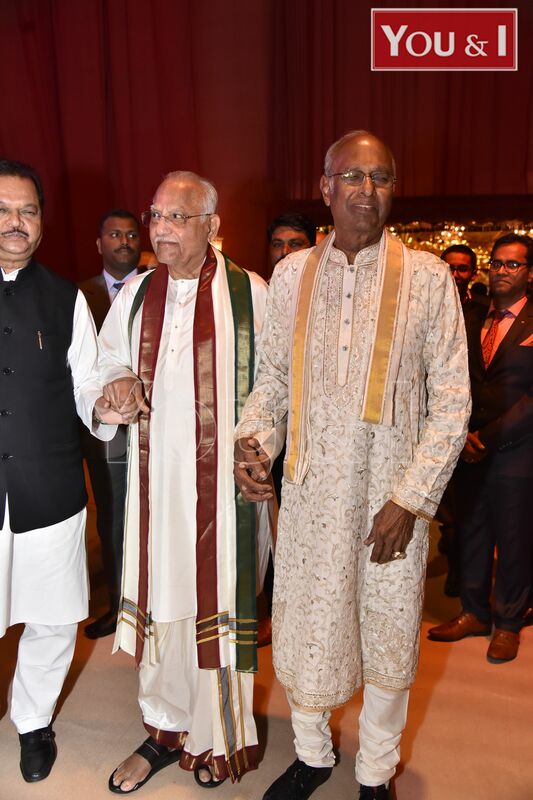 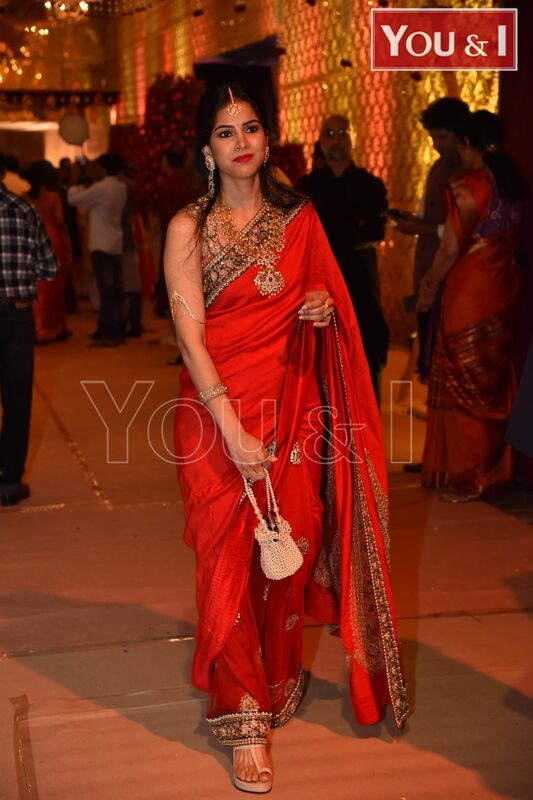 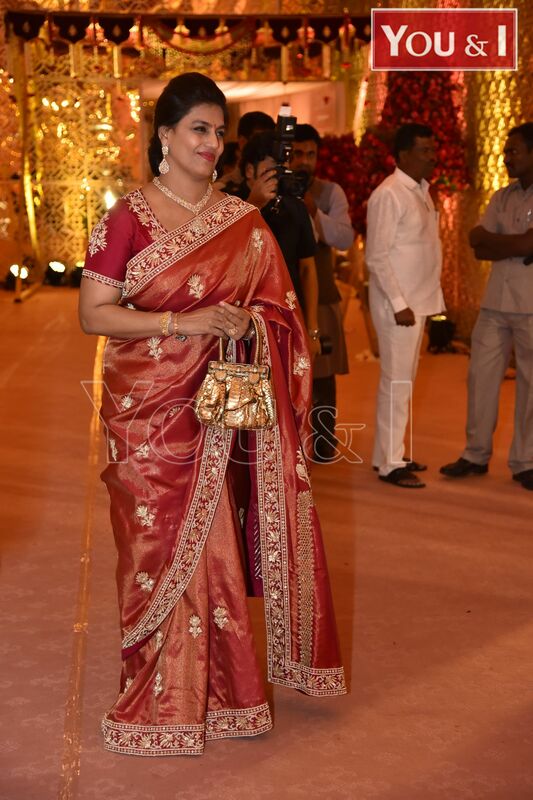 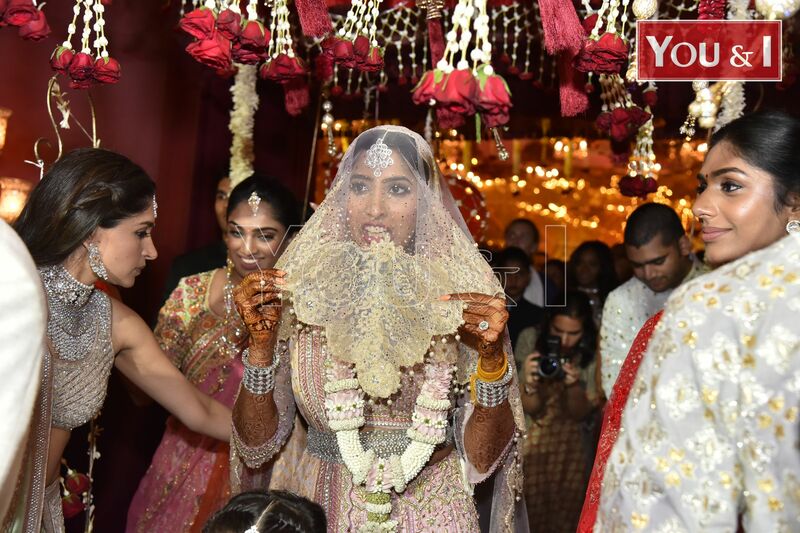 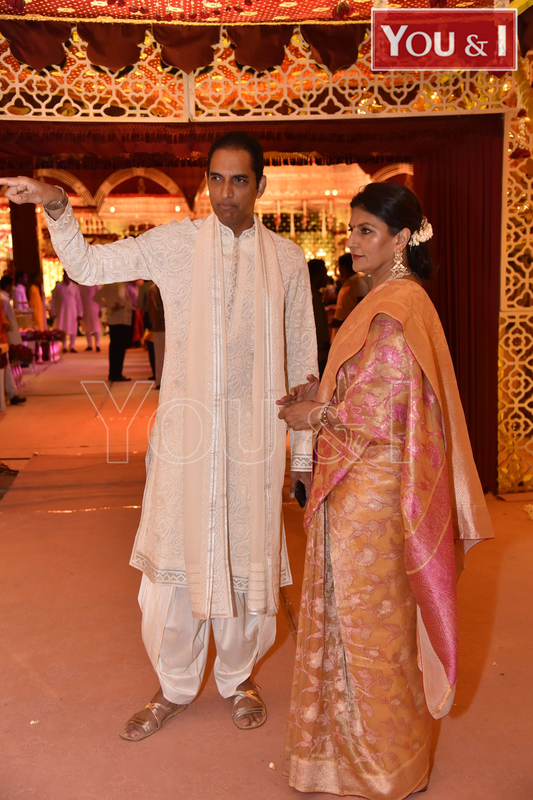 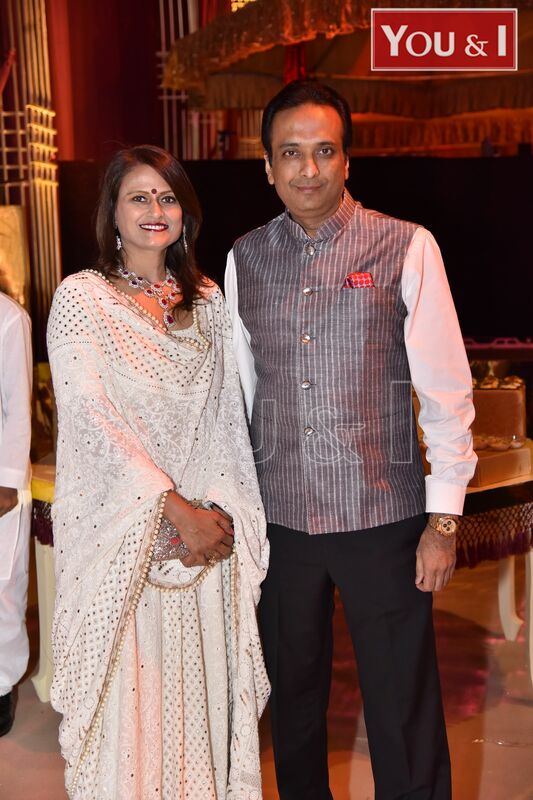 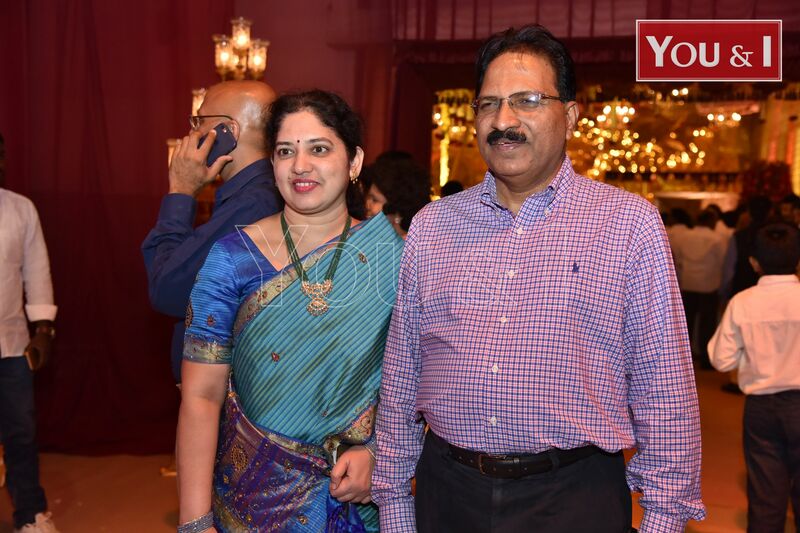 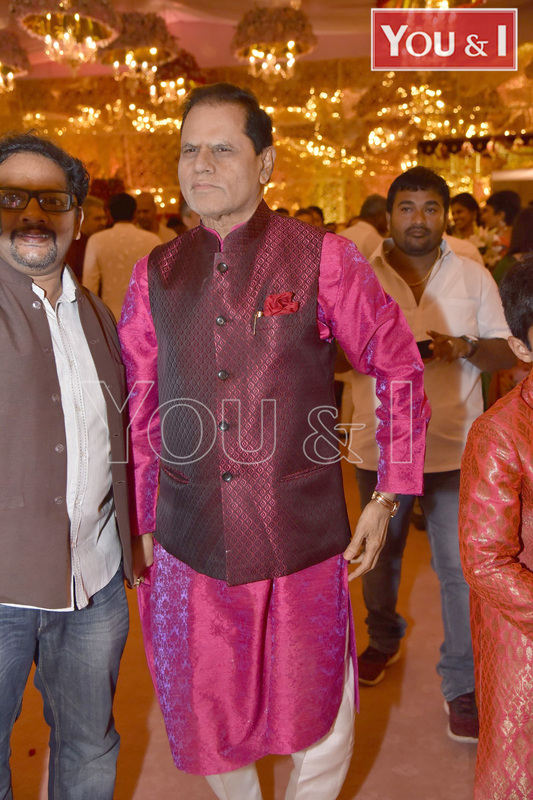 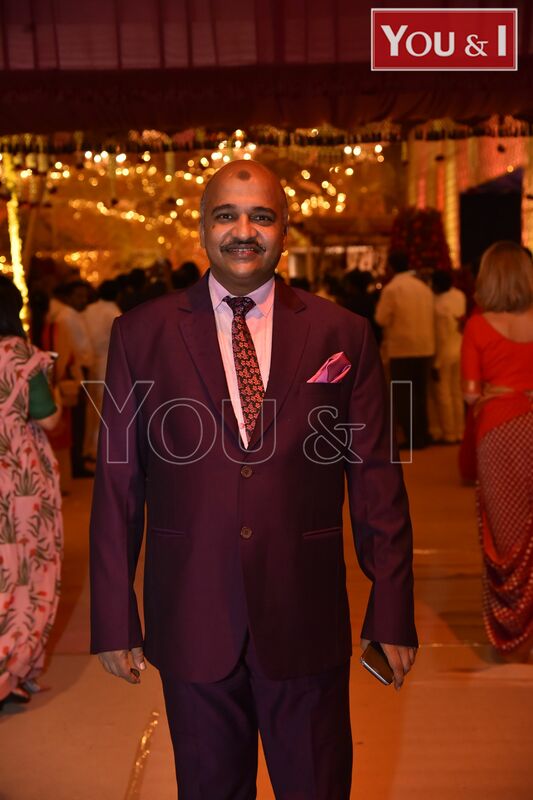 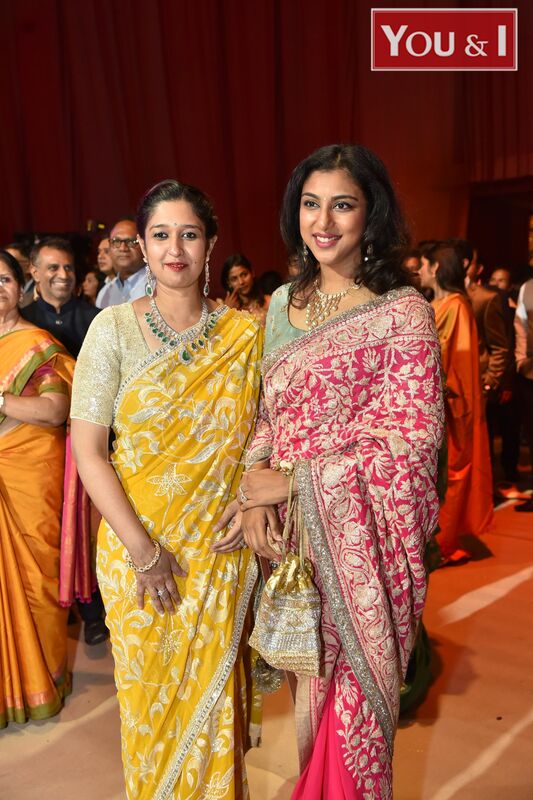 Anindith Reddy, the grandson of Dr Prathap C. Reddy and son of Mr Vishweshwar Reddy and Ms Sangita Reddy and Shriya Bhupal, granddaughter of Mr GV Krishna Reddy, tied the knot at a traditional Telugu wedding, replete with customs and traditions of Telangana, on Fridayat Hyderabad. 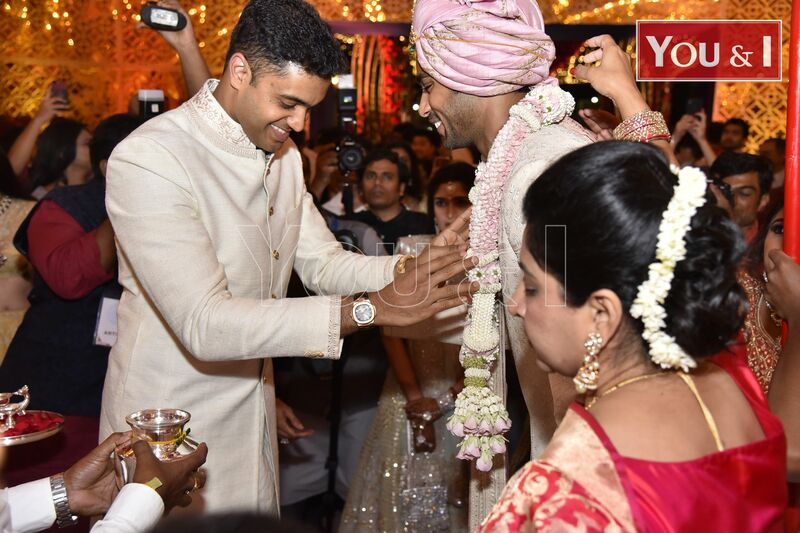 Anindith and Shriya met in school and knew each other for a longtime. 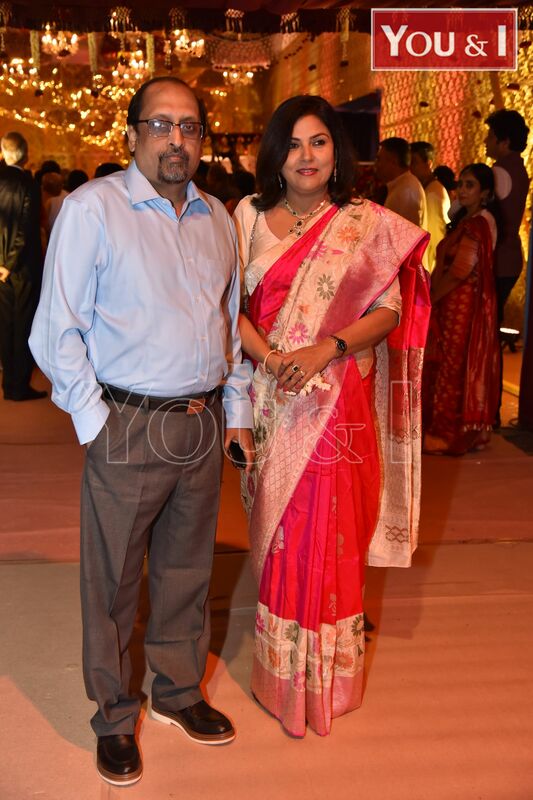 Both had similar interests, passion for cars, similar type of music and now of course incars, clothes & fashion. 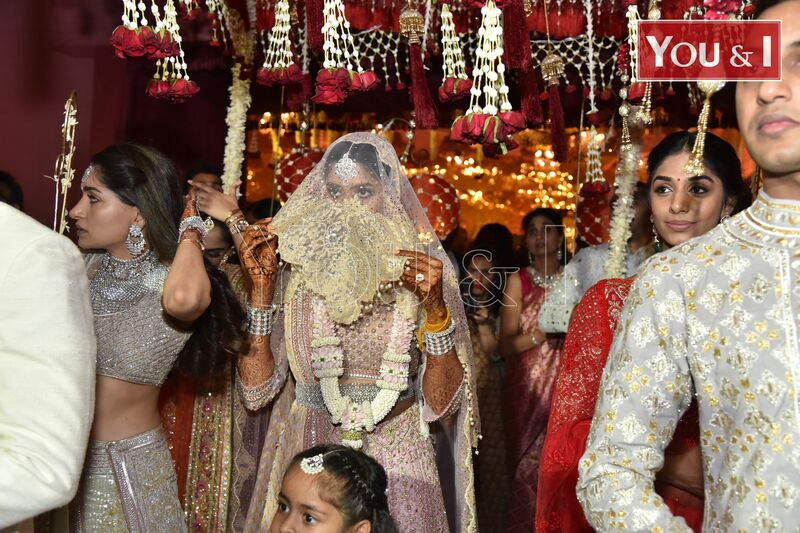 They drifted apart when in college, with Anindith doing his bachelors in Mechanical Engineering from Kettering University, Michigan, USA, while Shriya went to Parsons School of Design, New York, and later did a fashion designing course in London. 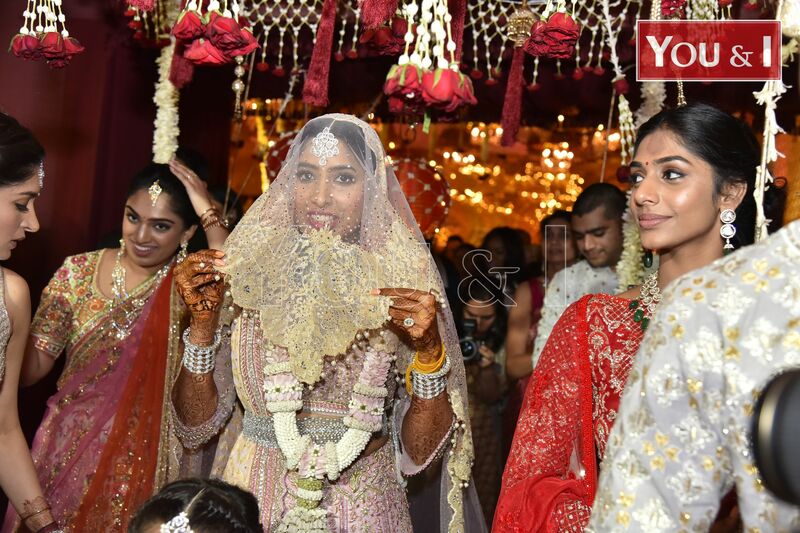 On return to city, theyrevived their friendship, are proud of each other’s achievements and supportive in accomplishing their respective dreams. 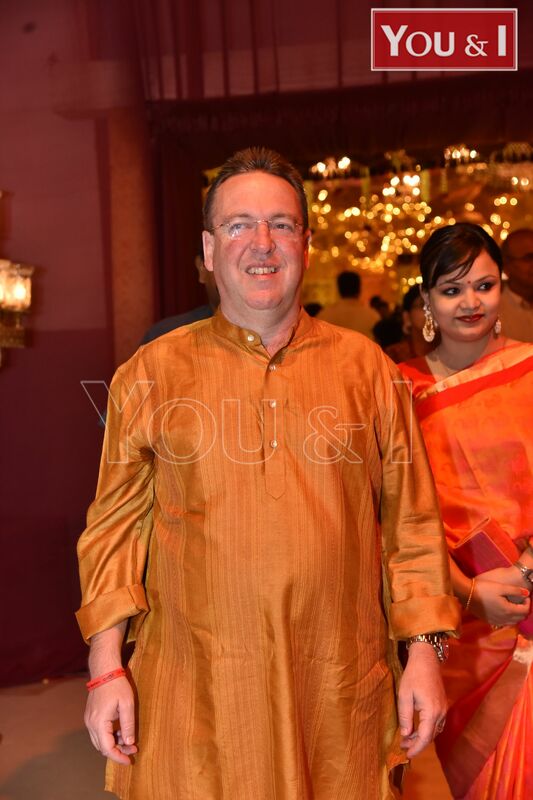 Both have an overlap in design, one for cars and the other for clothes. 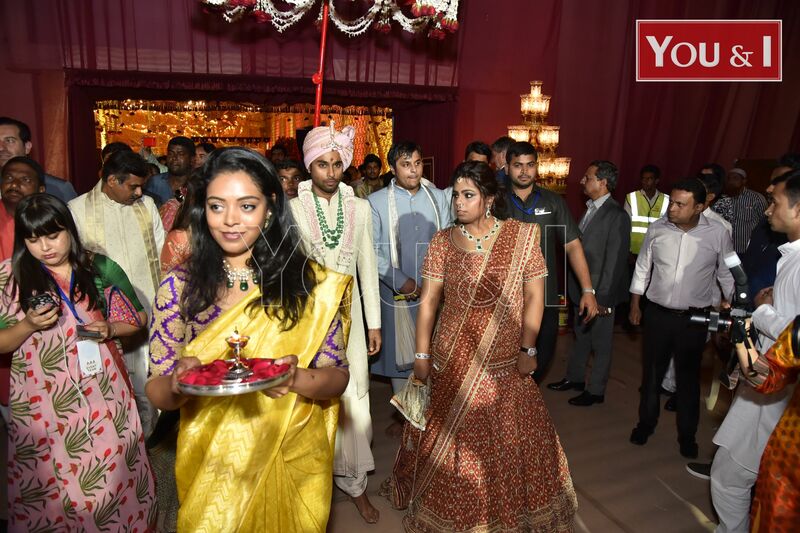 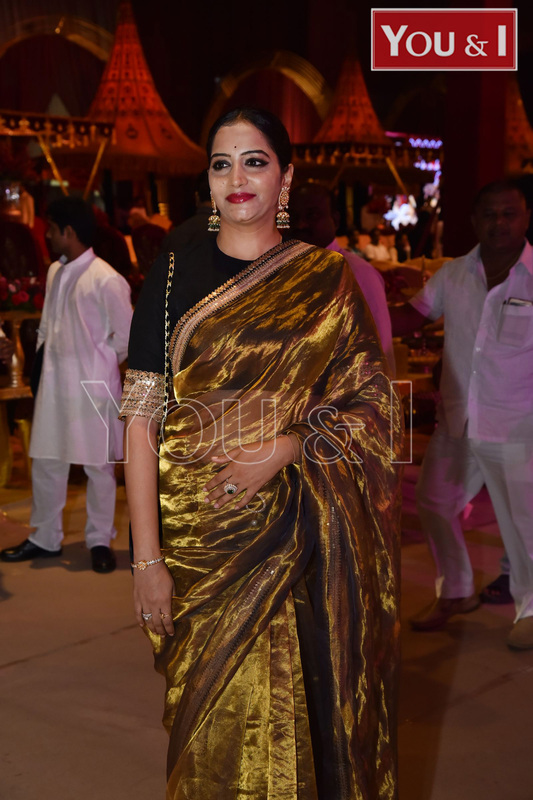 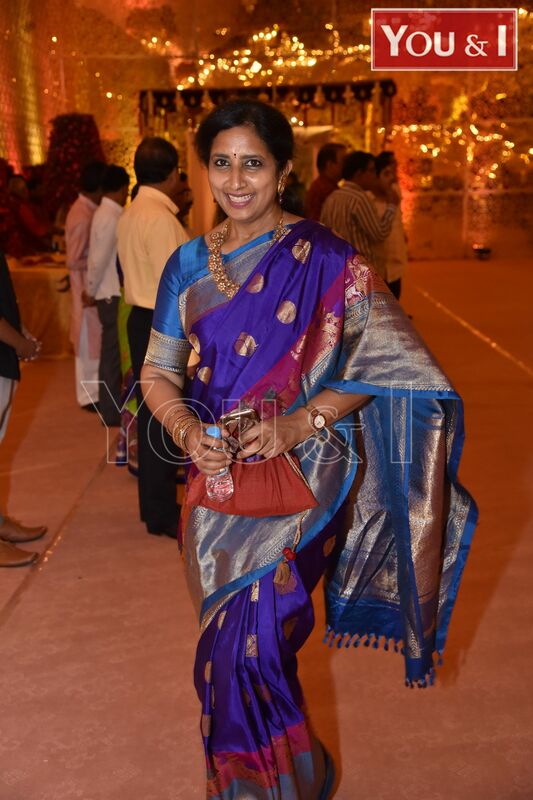 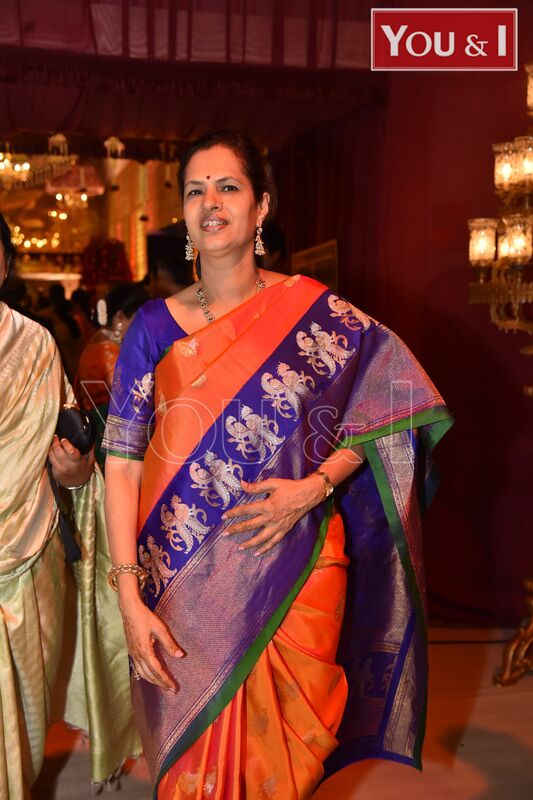 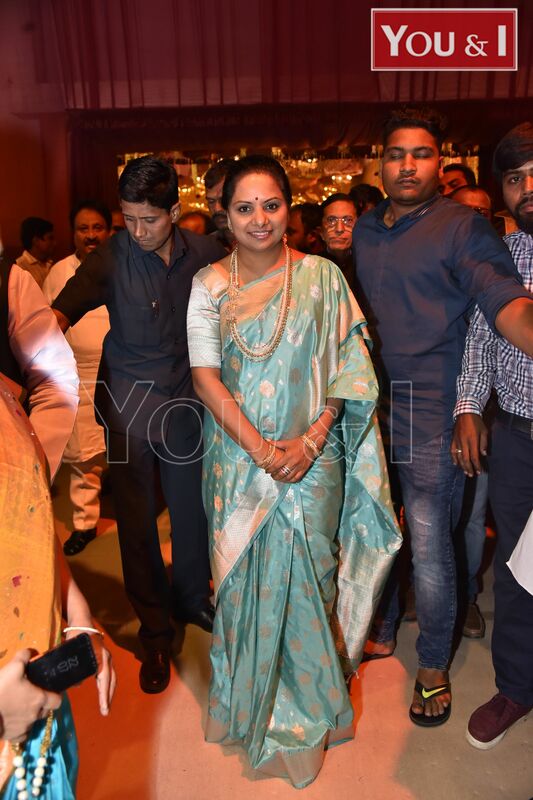 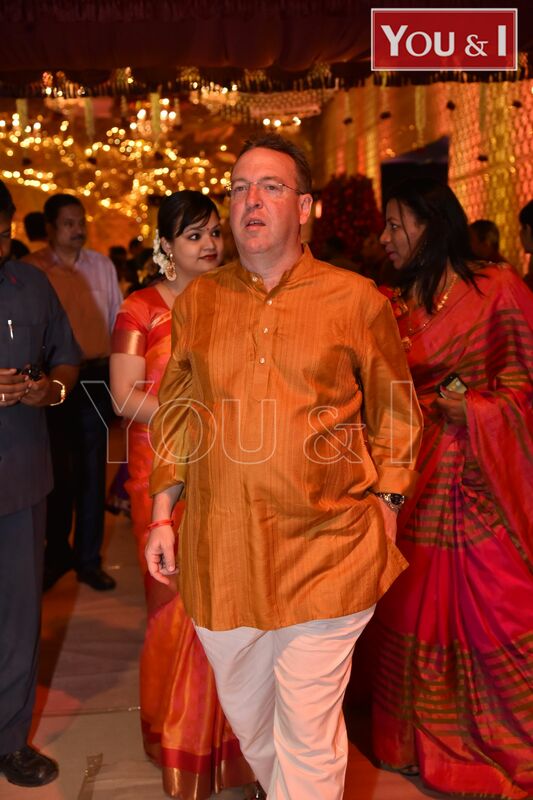 The wedding itself wassimple but traditional Telangana wedding, with guests in resplendent and elegant Gadwal sarees and a spread of authentic Telangana cuisine, including phenisweets. 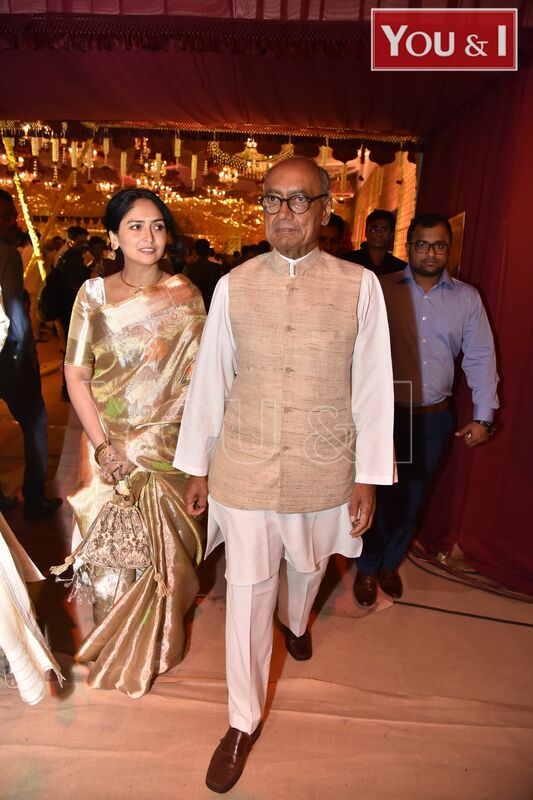 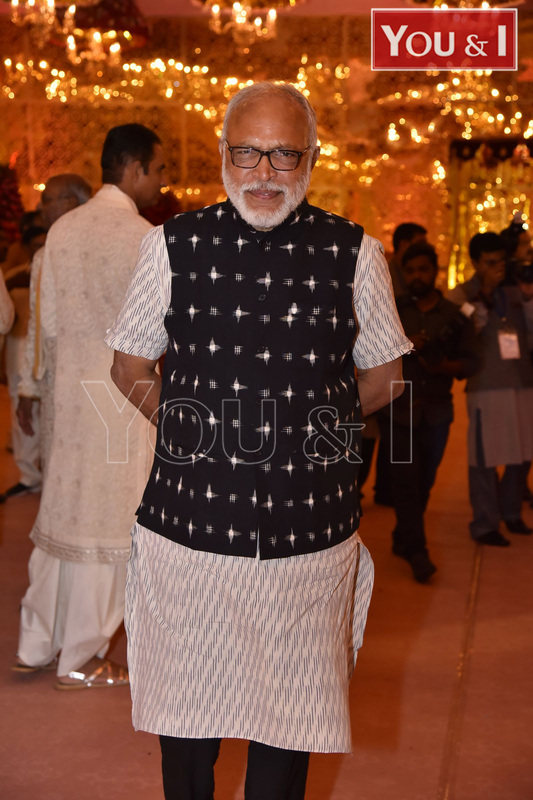 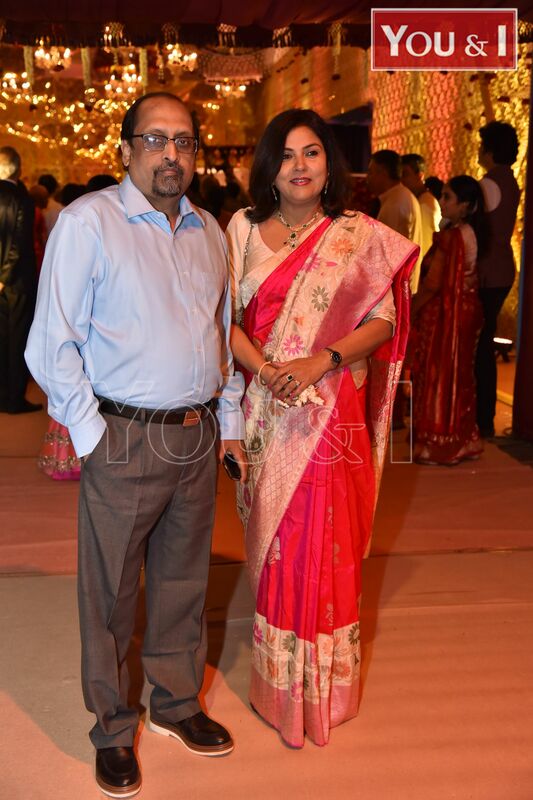 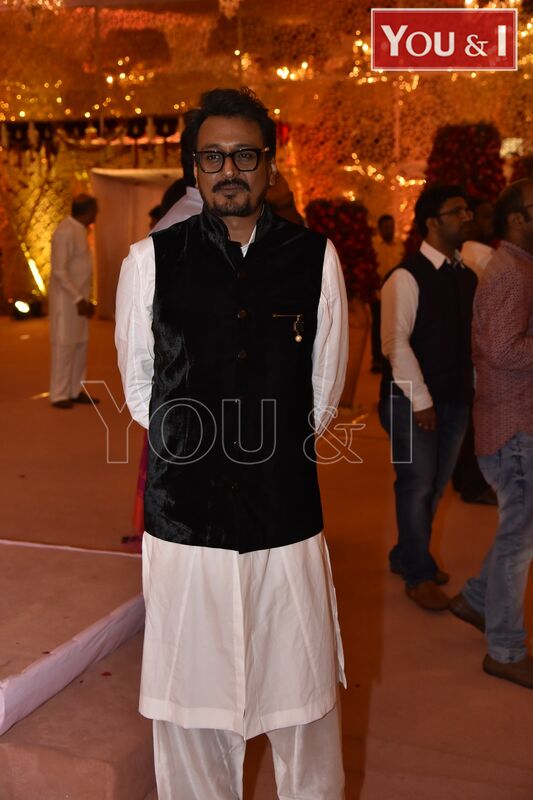 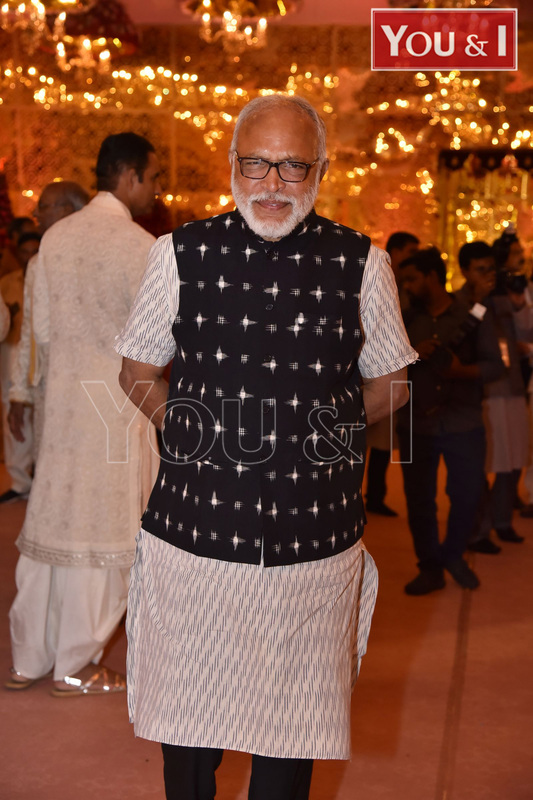 Anindith has a majestic lineage with his paternal side being a prominent political family and maternal family hailing from a reputed business conglomerate. 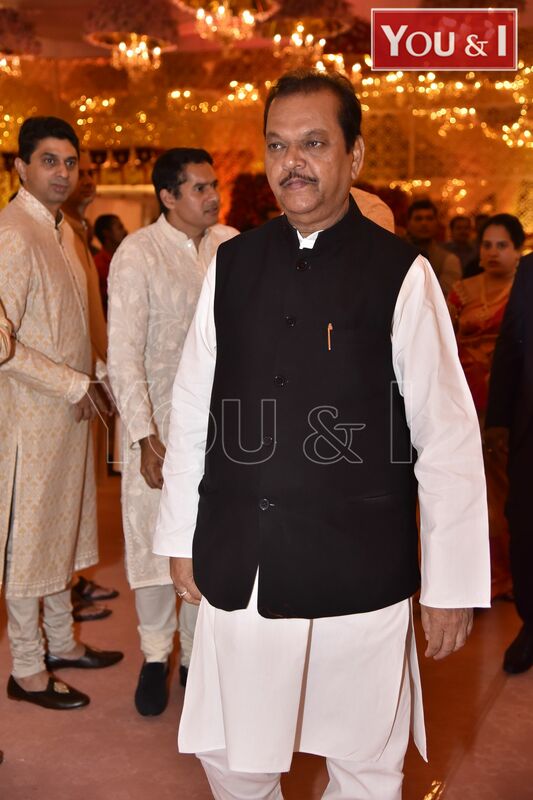 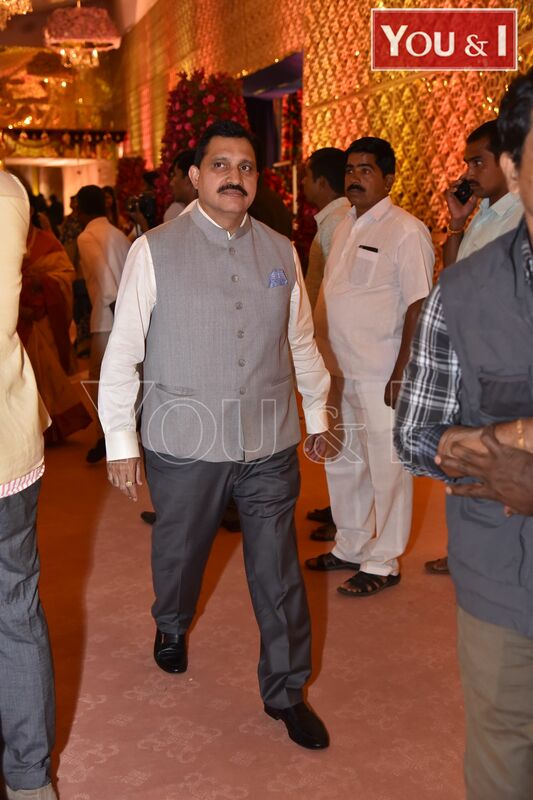 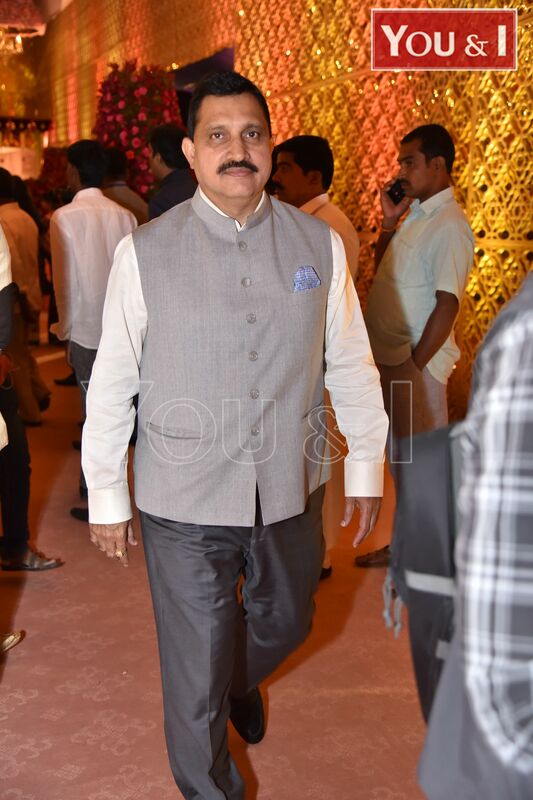 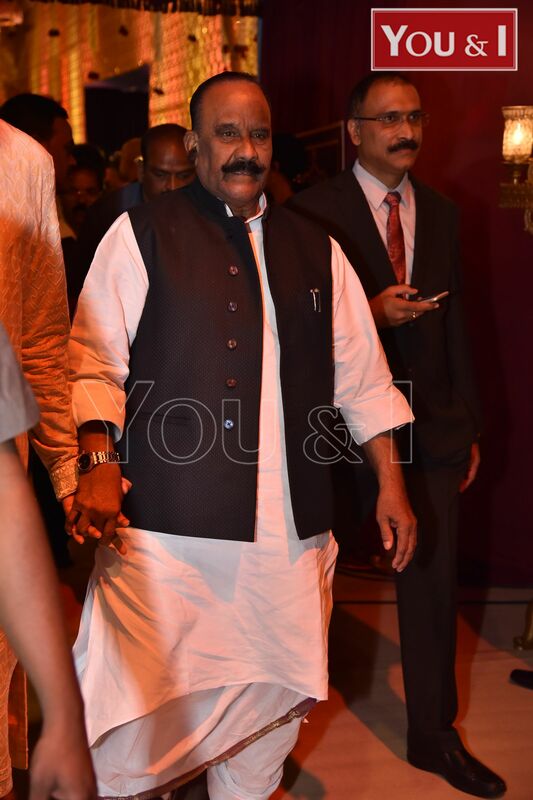 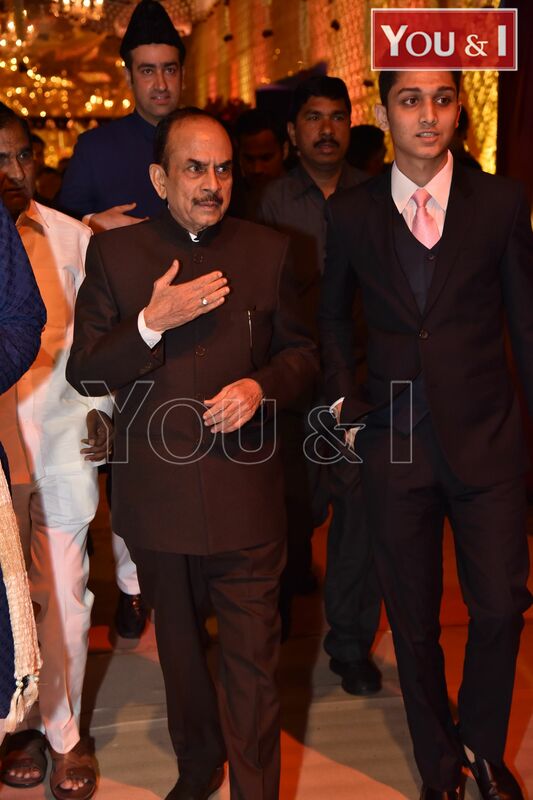 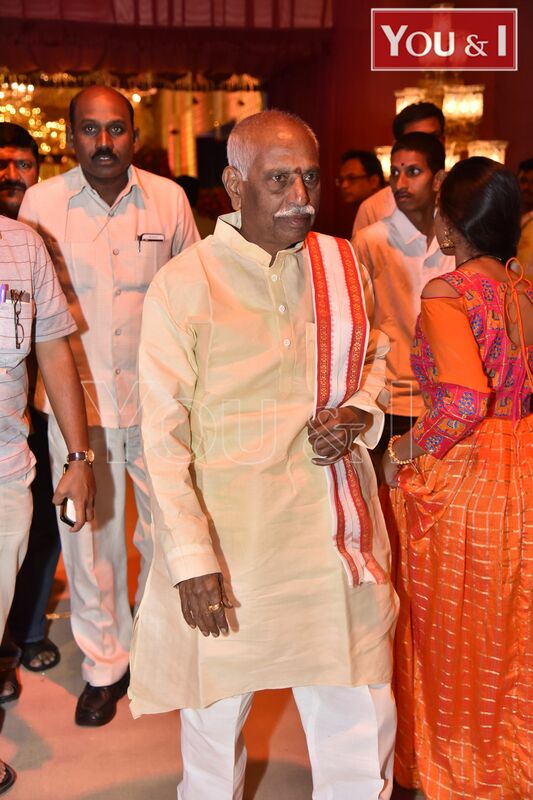 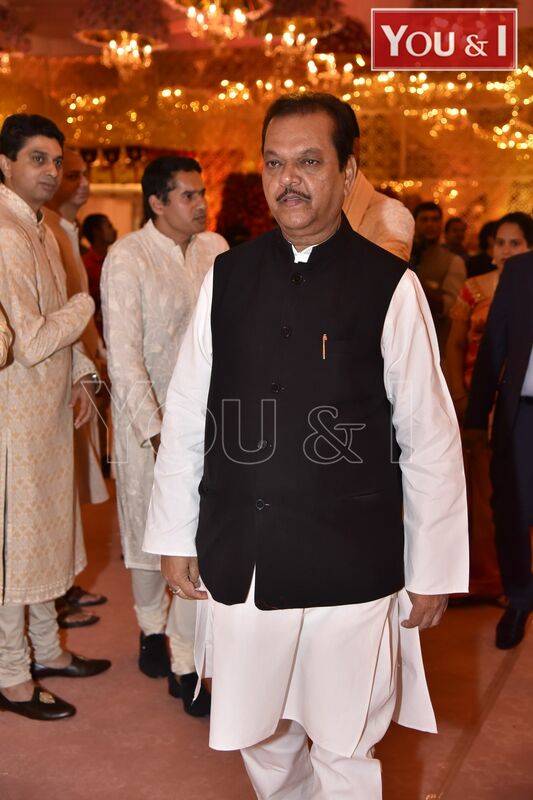 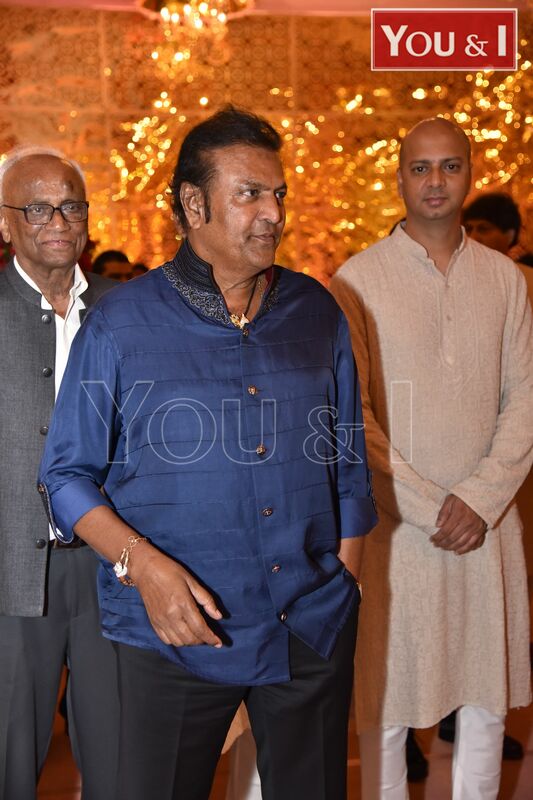 He is the great grandson of former Deputy Chief Minister of combined Andhra Pradesh, Sri KV Ranga Reddy, after whom the RR District is named, grandson of modern Indian healthcare architect and Apollo Hospitals founder Dr Prathap C. Reddy and former acting Governor of Maharashtra & Chief Justice of Hyderabad & Mumbai High Courts, Justice Konda Madhava Reddy and son of Chevella Member of Parliament, Mr Konda Vishweshwar Reddy & Apollo Hospitals Joint Managing Director, Ms Sangita Reddy. 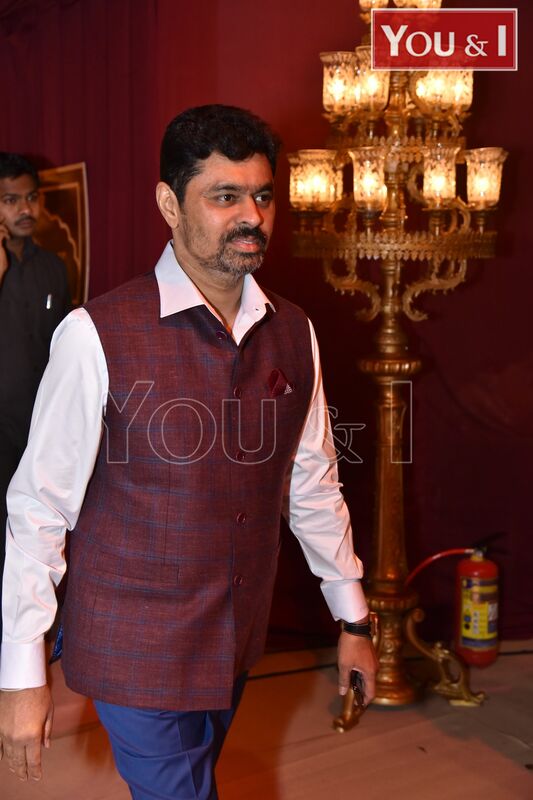 Anindith was conferred with the topmost motorsport honour, ‘Motorsport Person of the Year’ by country’s motorsport body, Federation of Motor Sports Clubs of India (FMSCI), recently, in recognition of his stupendous performance on the racing track. 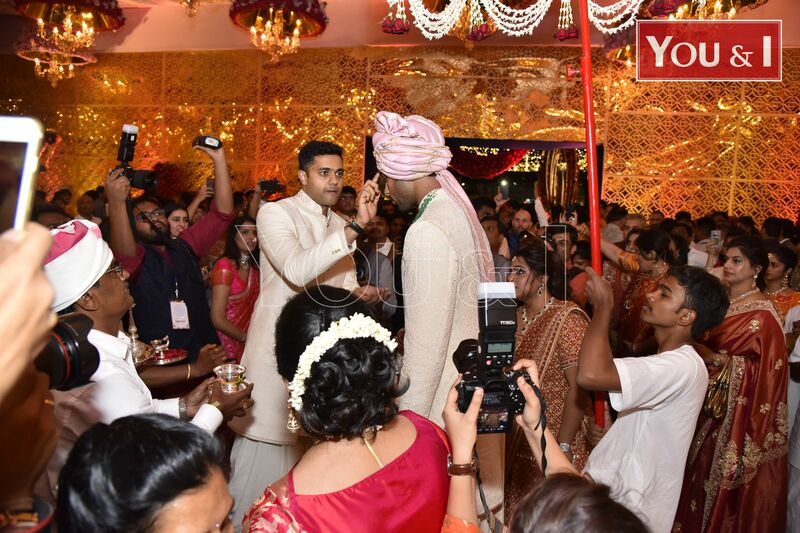 He won both the formula championships in India in a year in 2017, the Formula BMW and Formula MRF 1600, which is unprecedent in the country’s racing history. 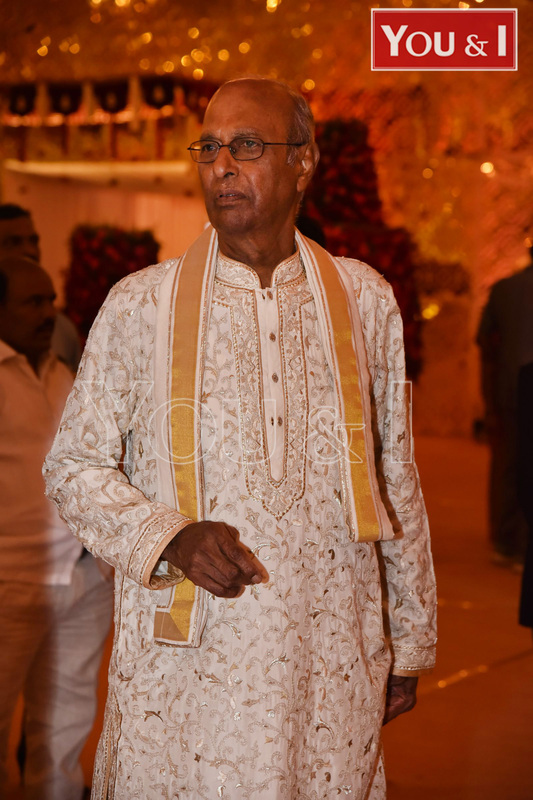 He has been going strength to strength since his return from a sabbatical, for finishing his academics, in 2013. 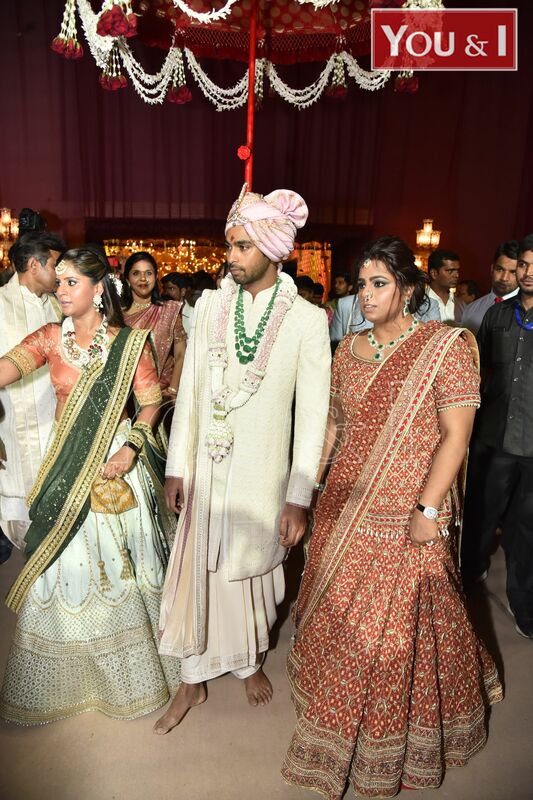 Since than he has won Polo Arca cup in 2013, Volkswagen Vento Cup in 2014; Formula BMW in 2016 and both the formula championships in India, Formula BMW and Formula MRF 1600 in 2017.